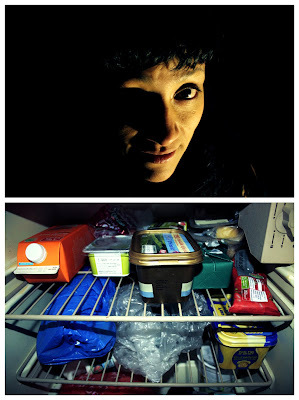 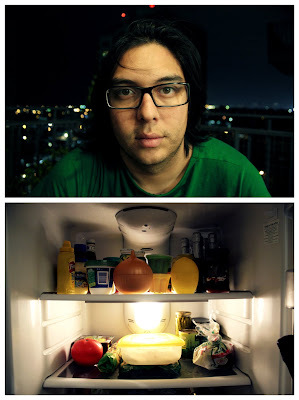 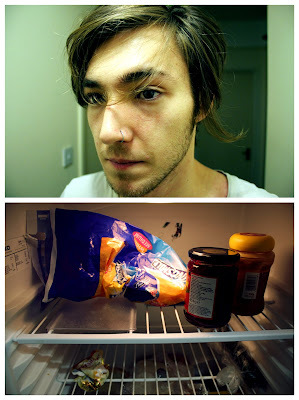 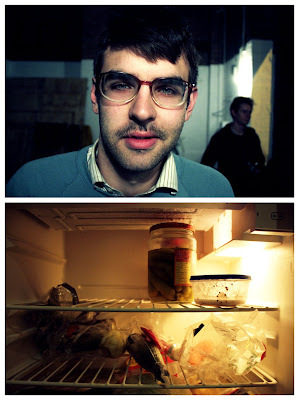 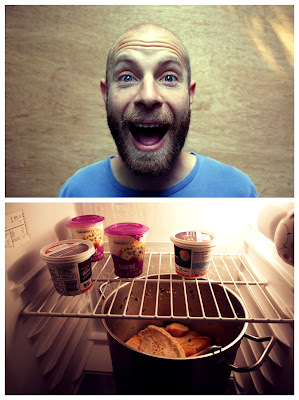 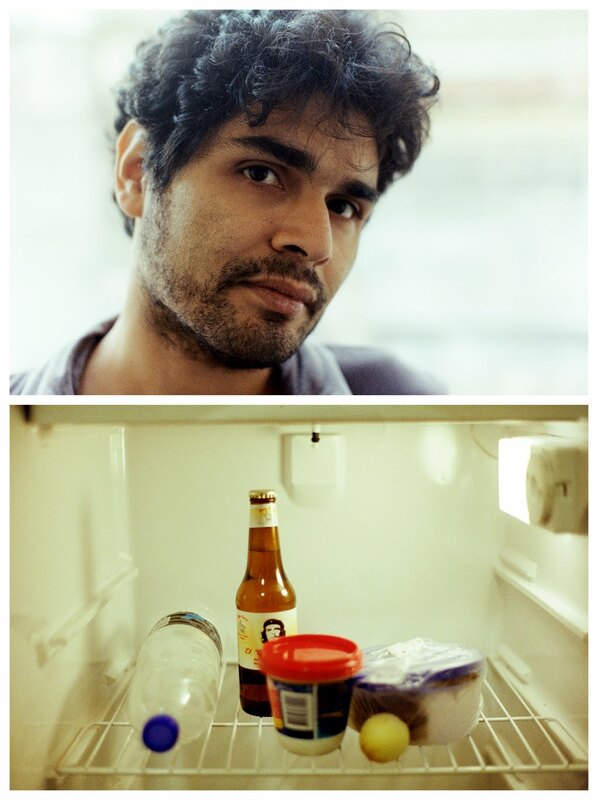 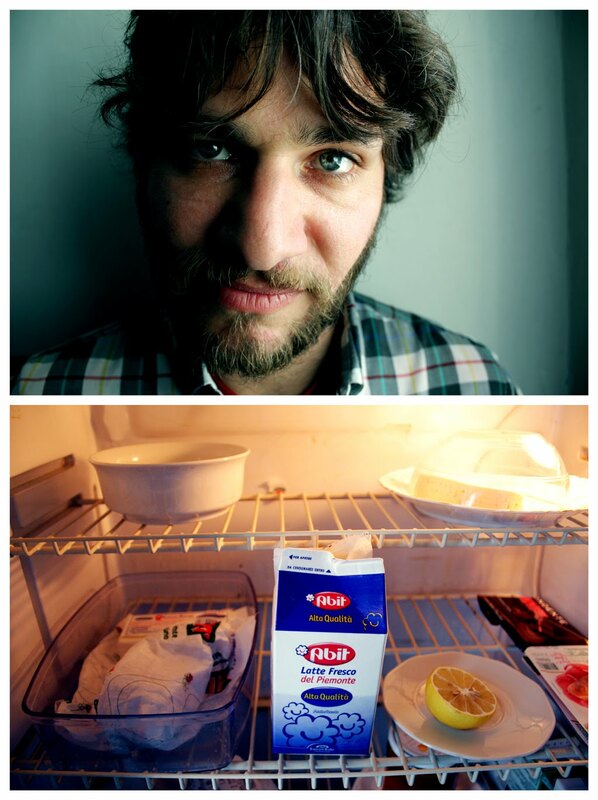 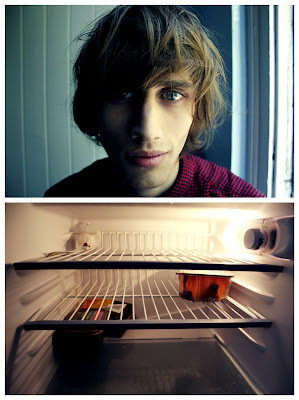 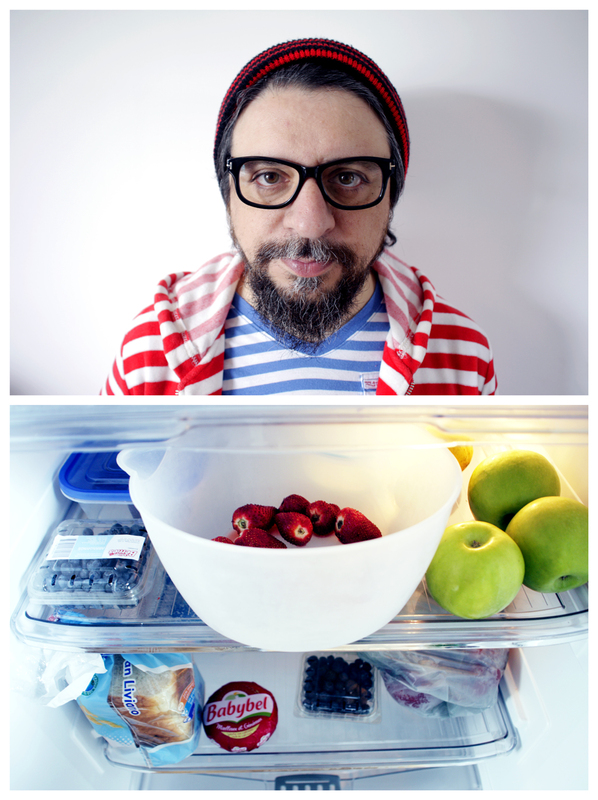 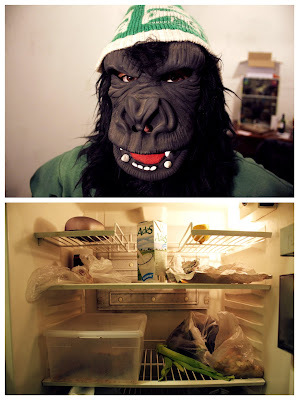 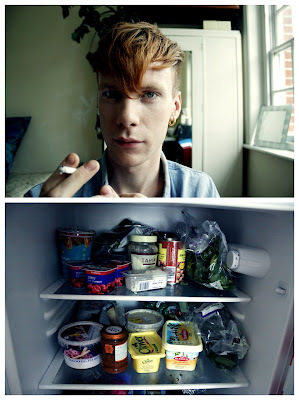 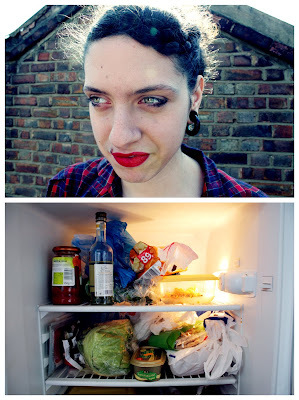 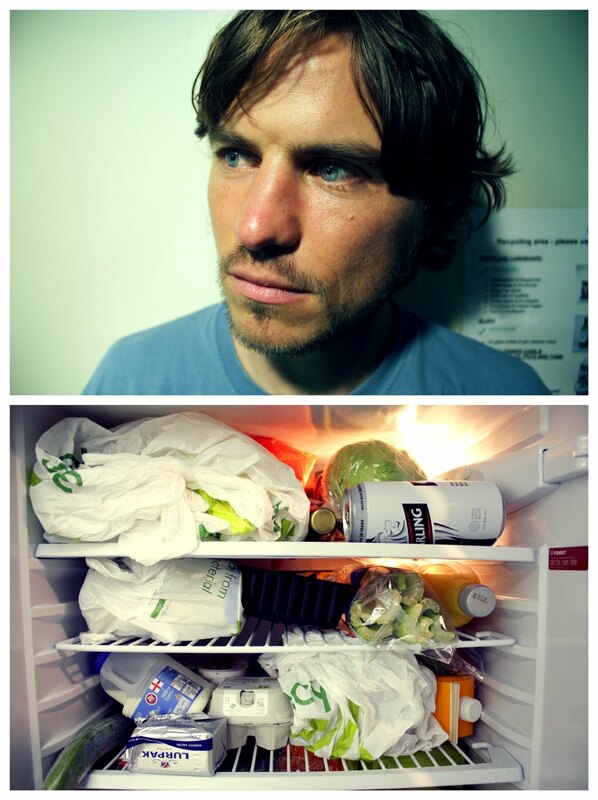 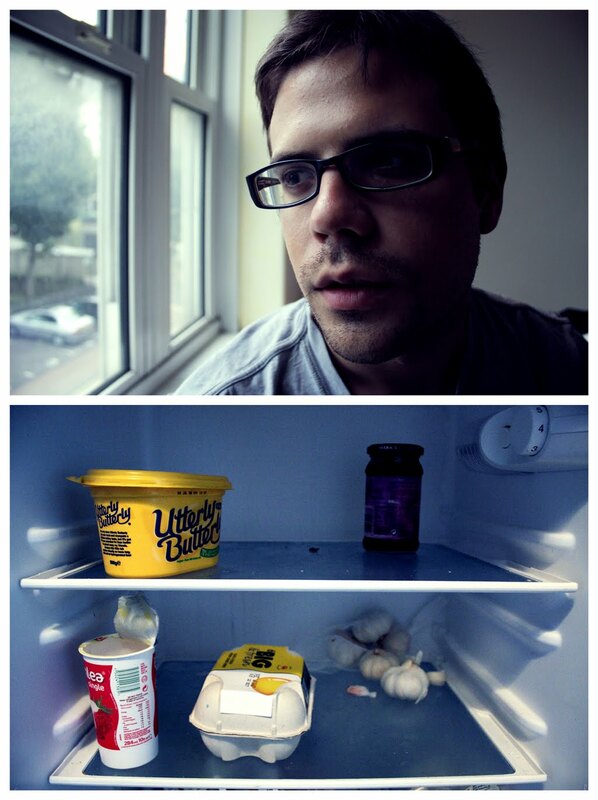 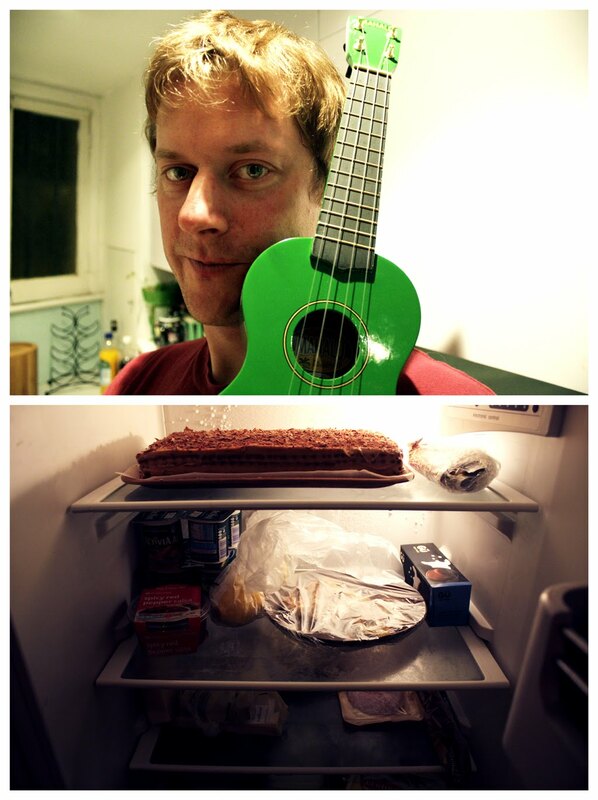 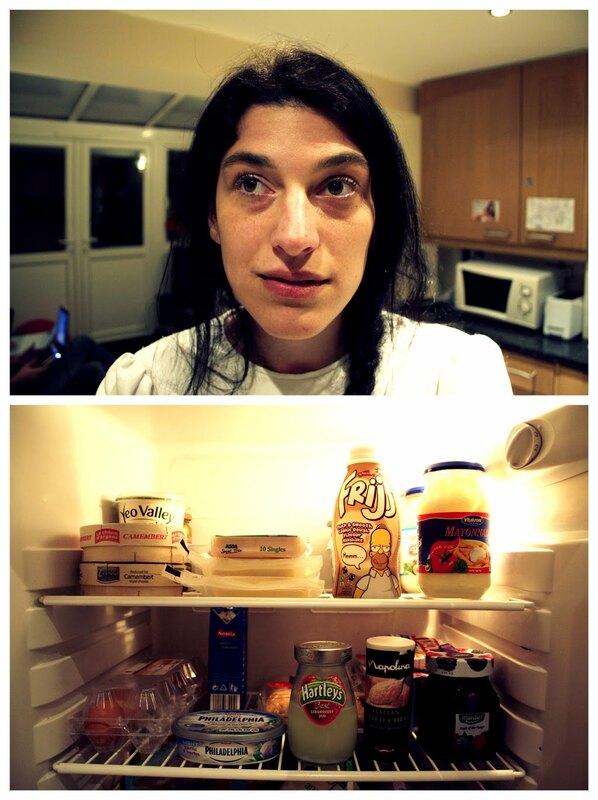 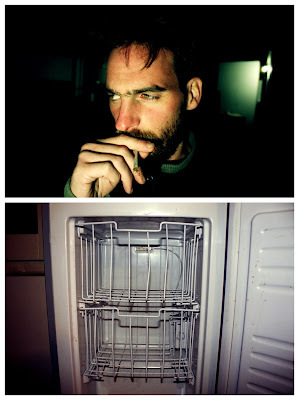 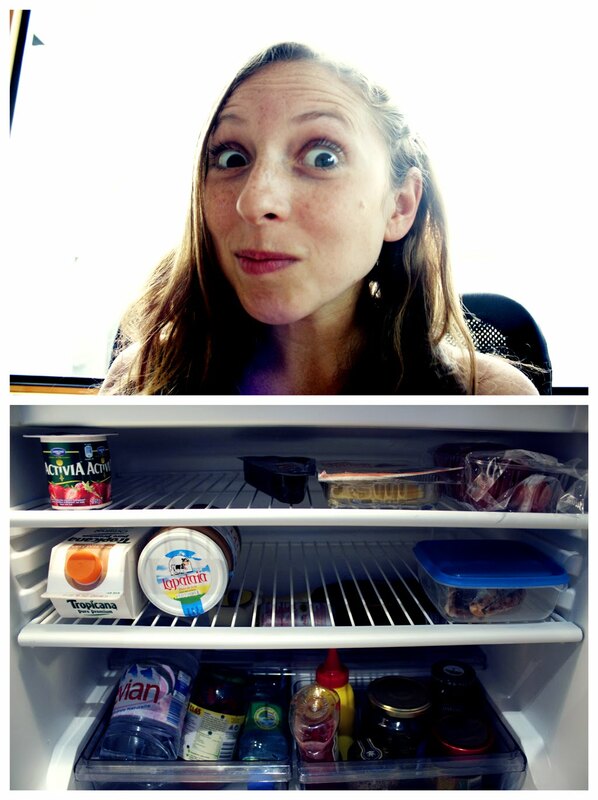 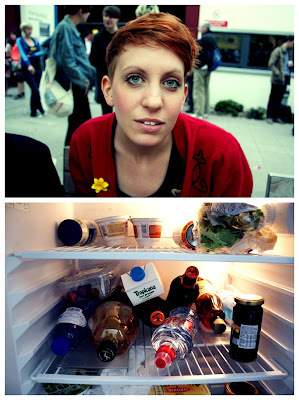 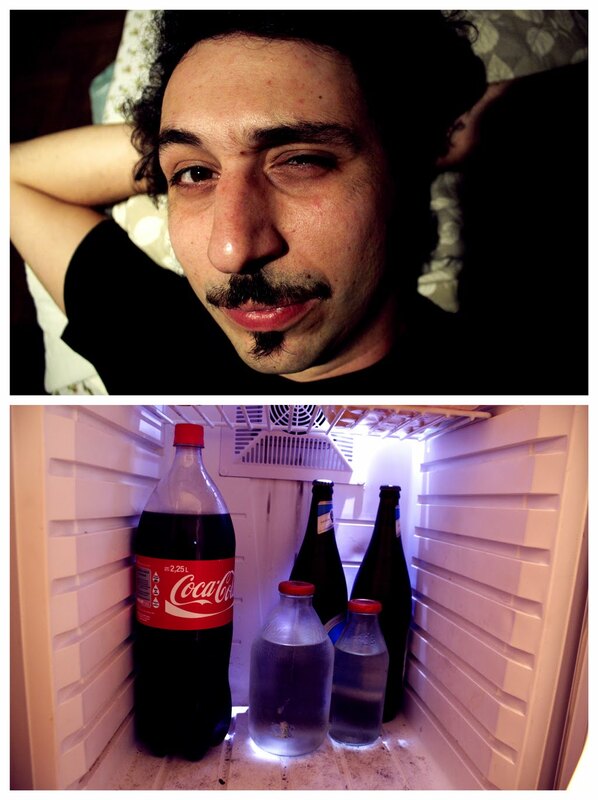 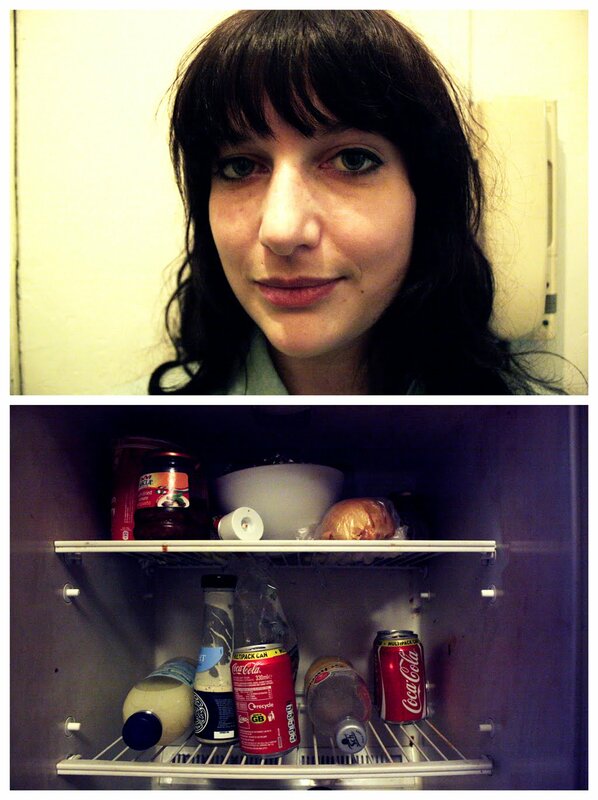 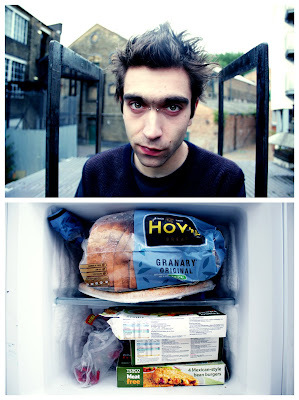 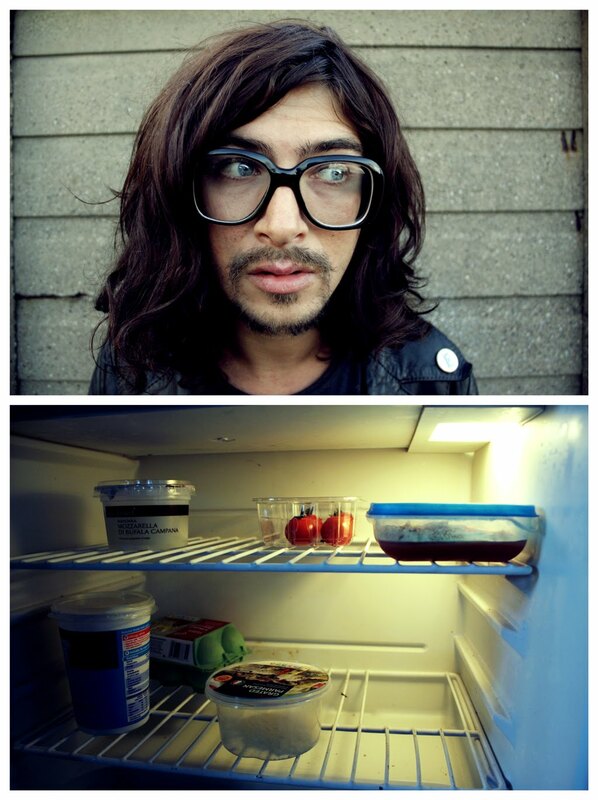 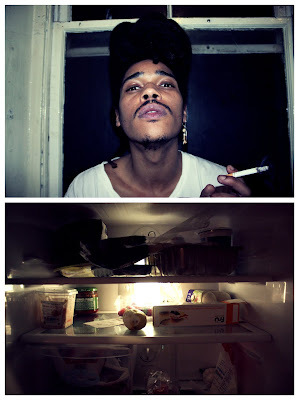 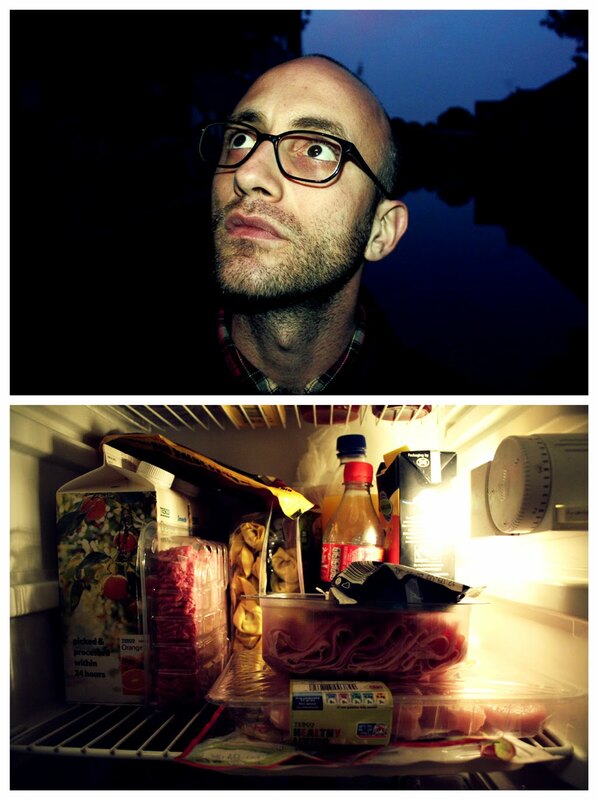 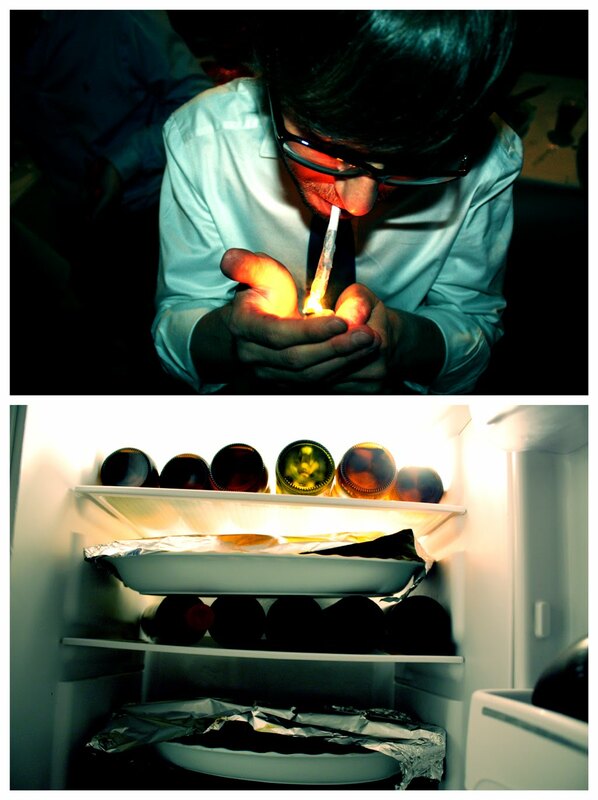 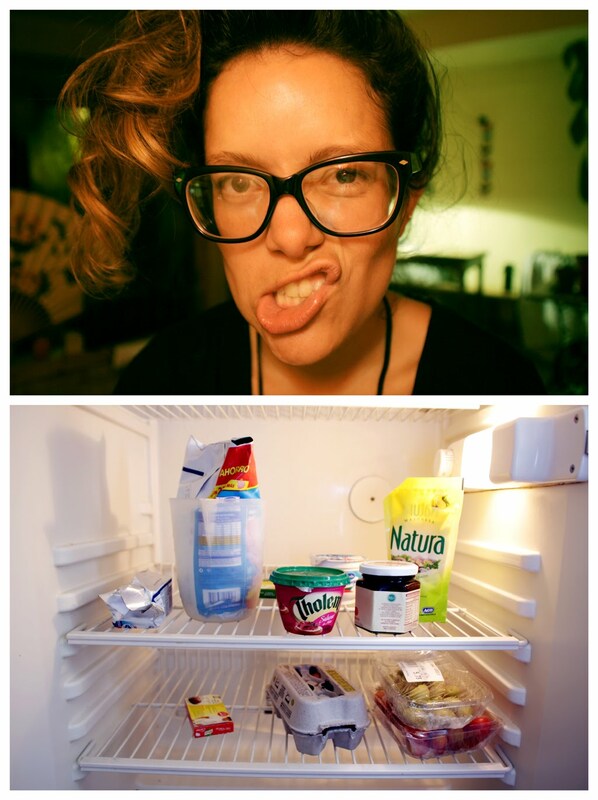 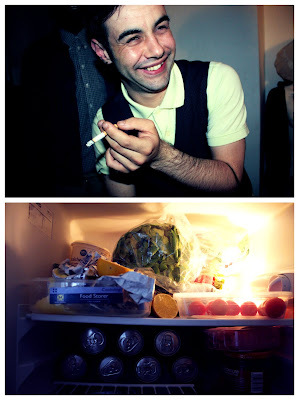 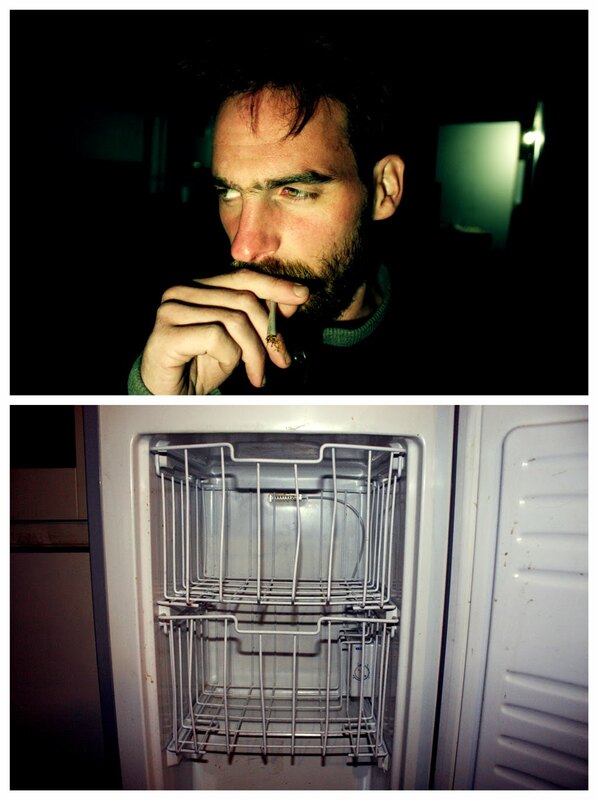 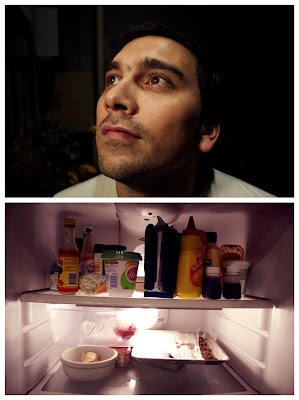 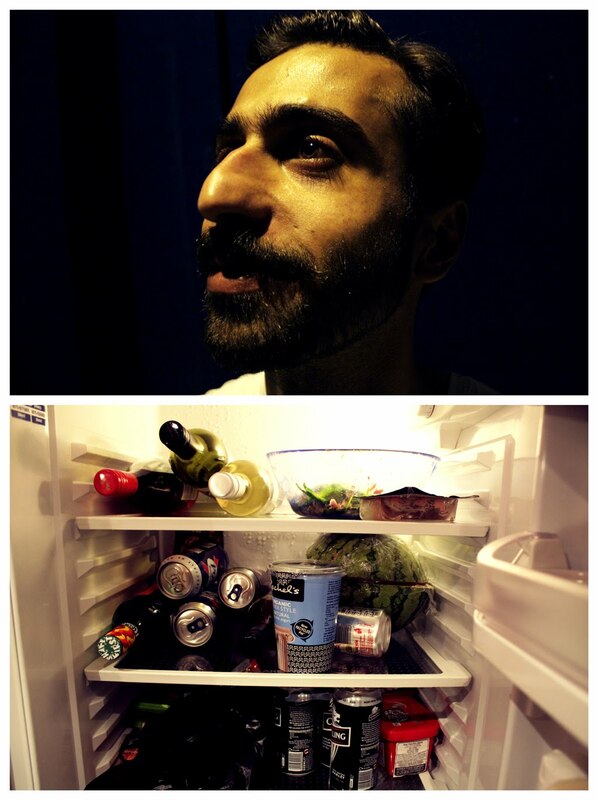 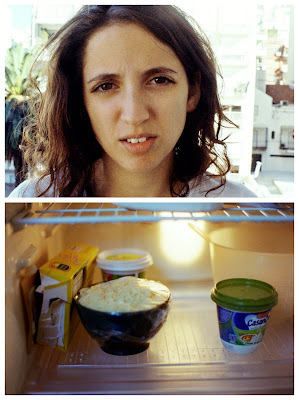 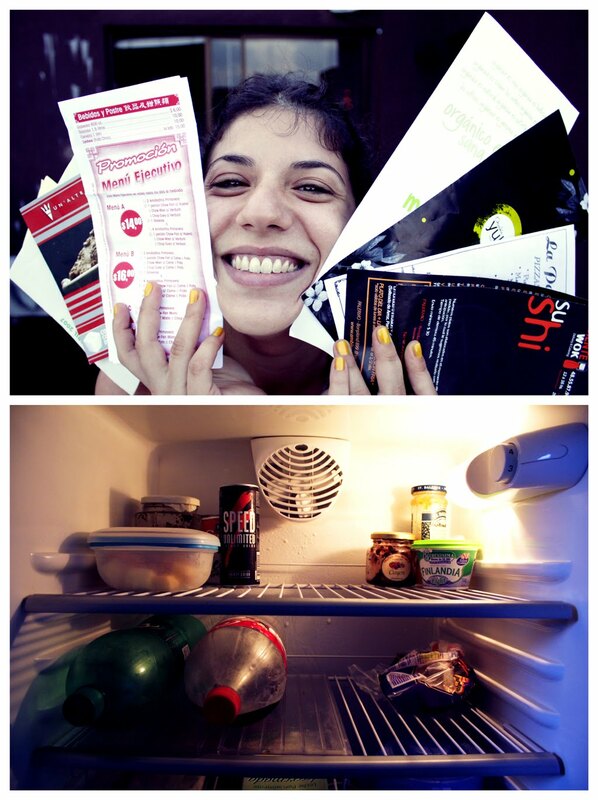 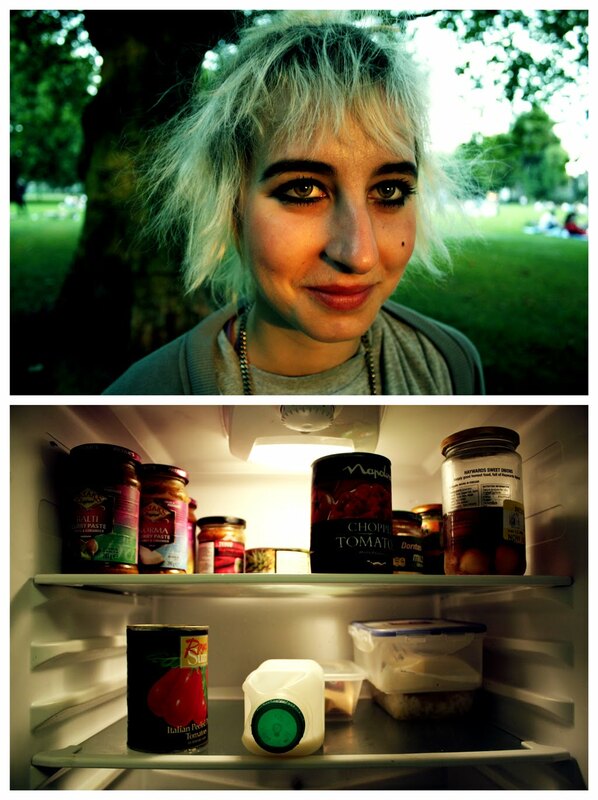 This started when I shot my own fridge and a self-portrait to waste film. 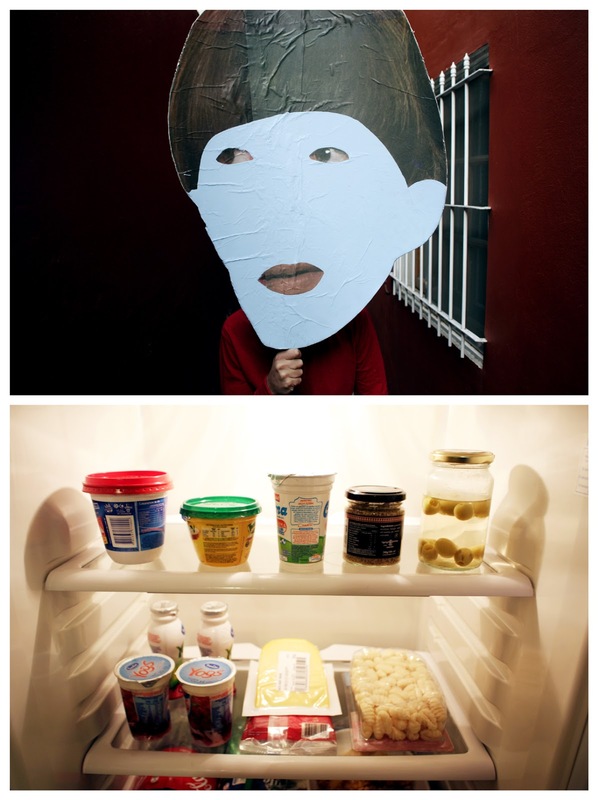 Putting the prints together, I liked how they looked and decided the idea could be a series. 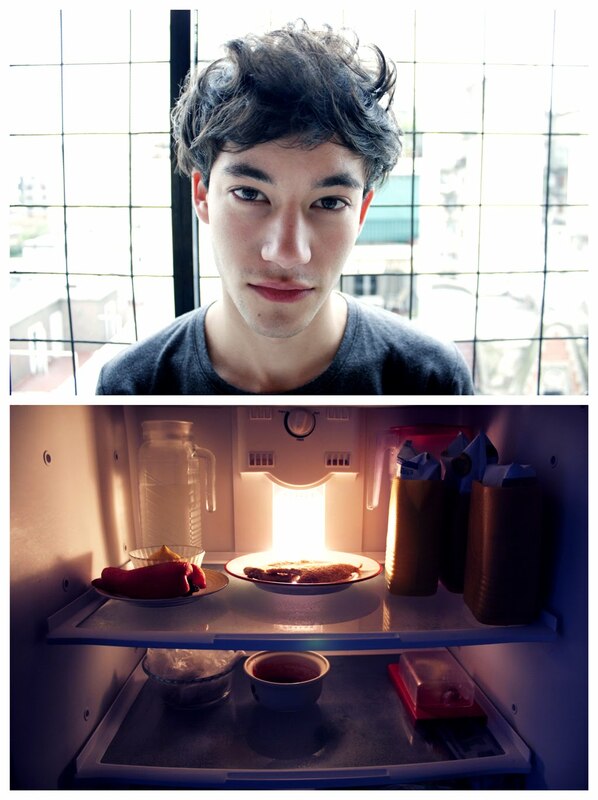 The models are friends, family and people I meet; I approach them and sometimes they approach me. 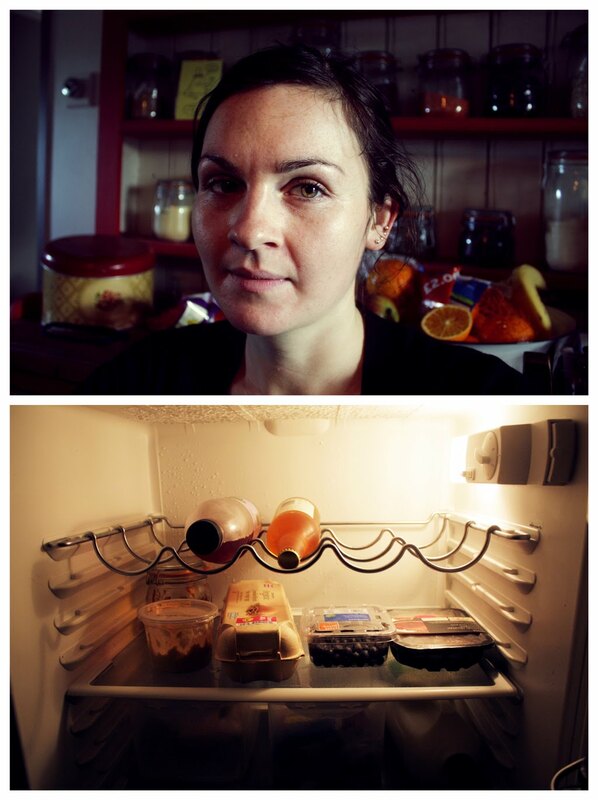 There is little preparation; I use a digital SLR, natural light and sometimes a reflector. 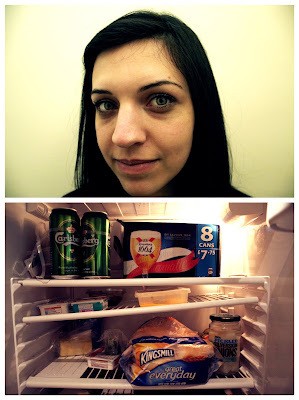 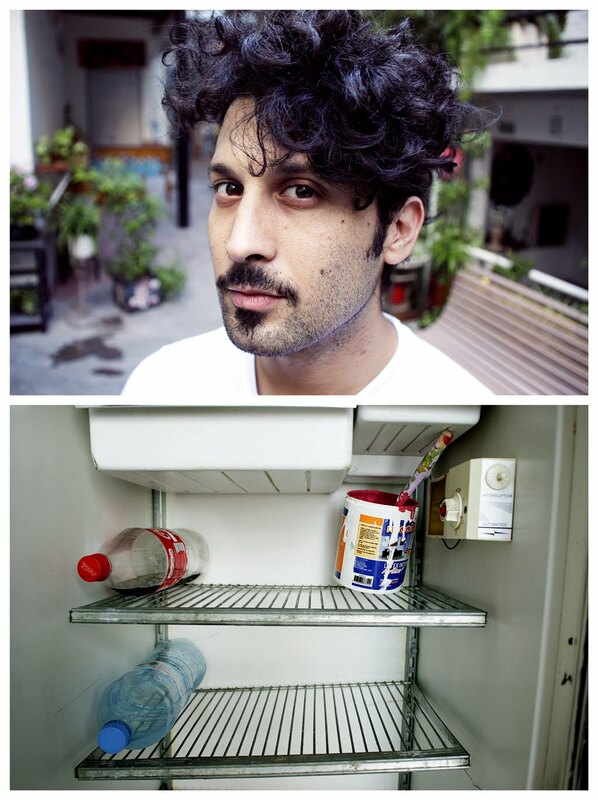 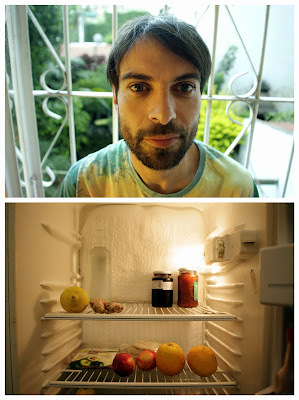 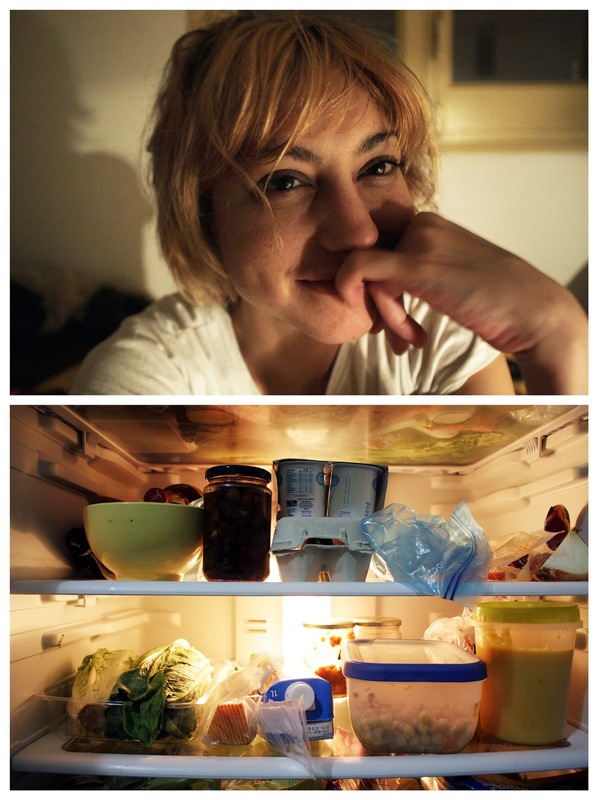 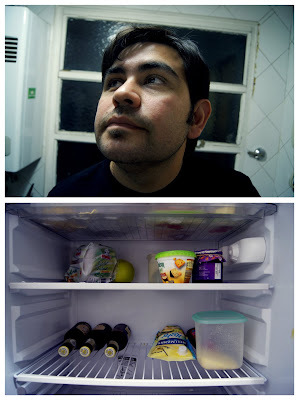 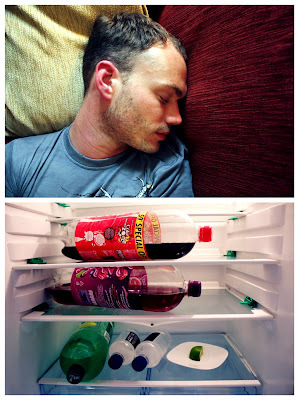 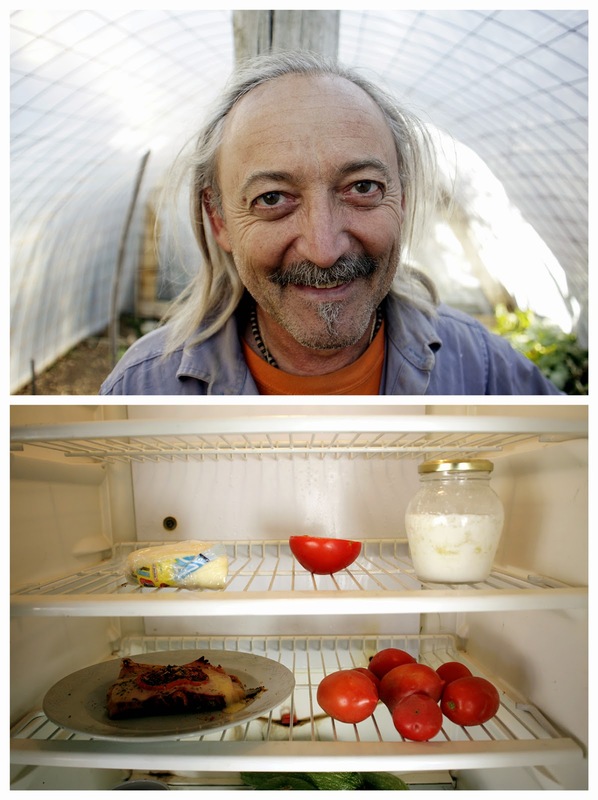 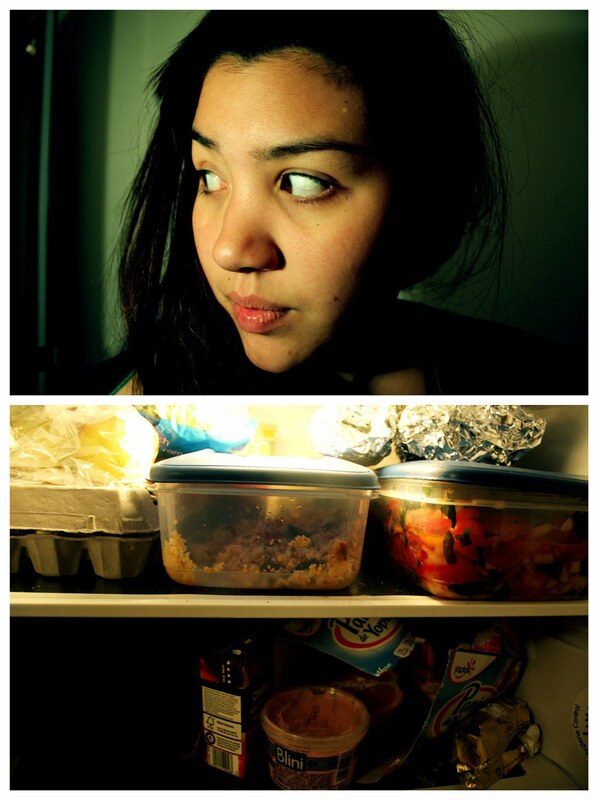 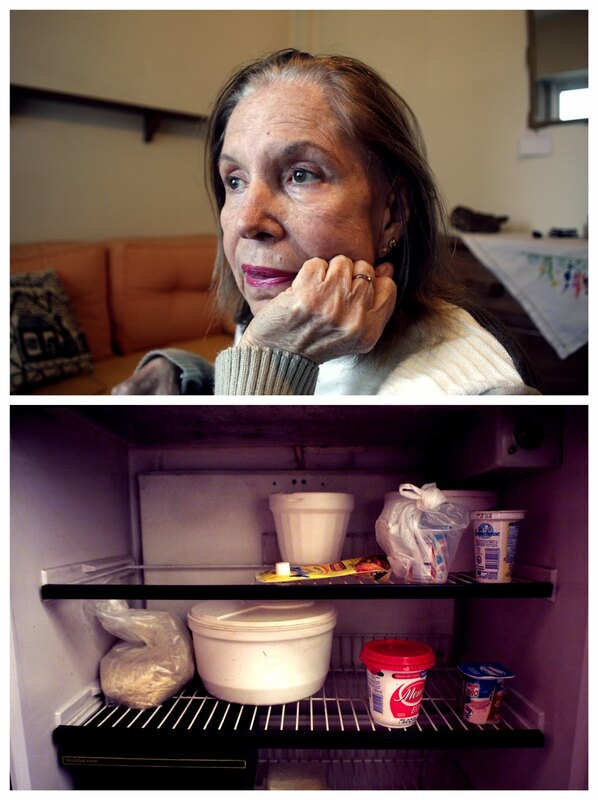 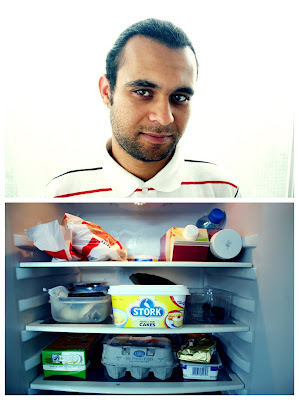 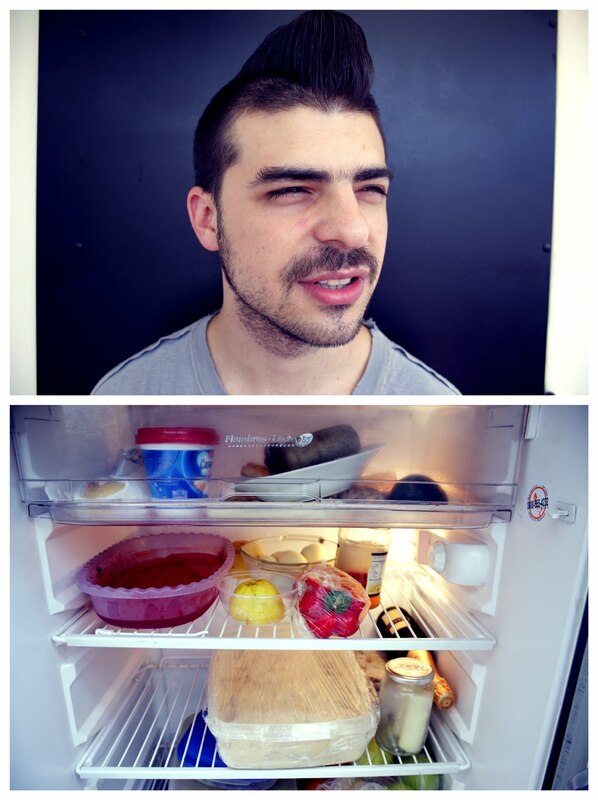 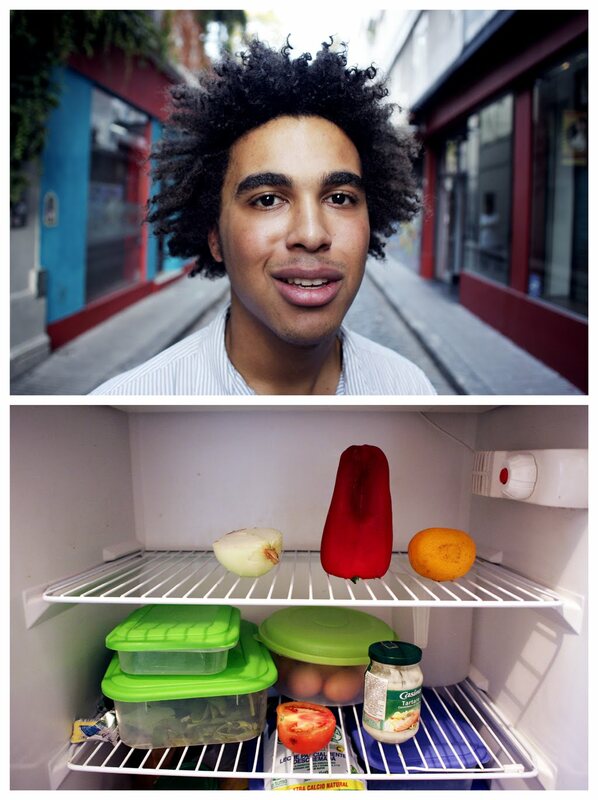 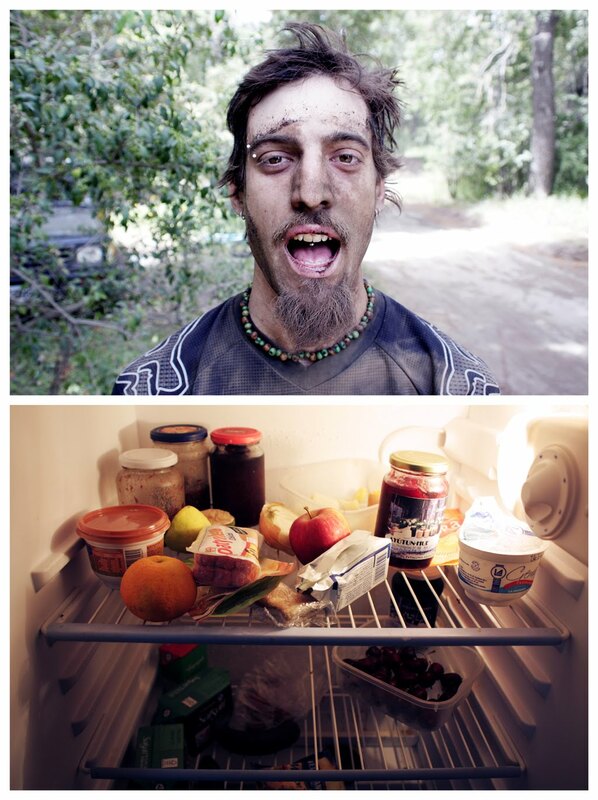 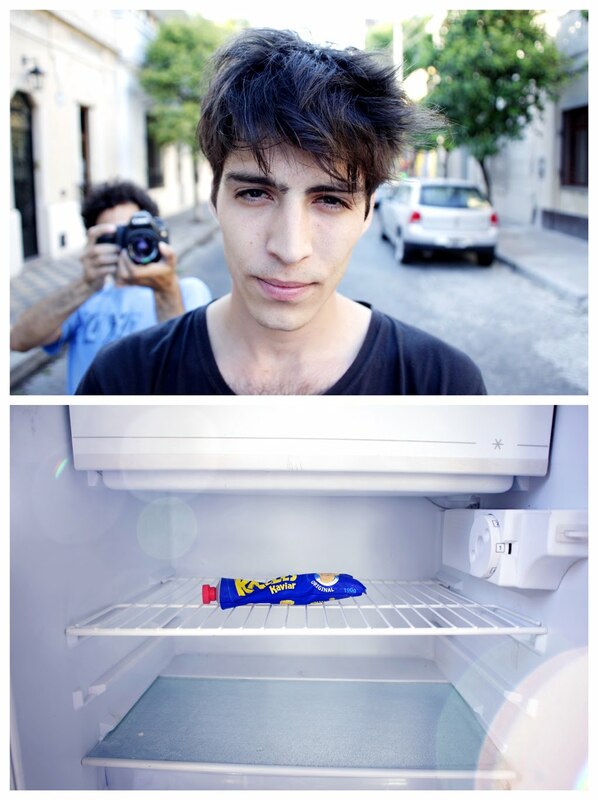 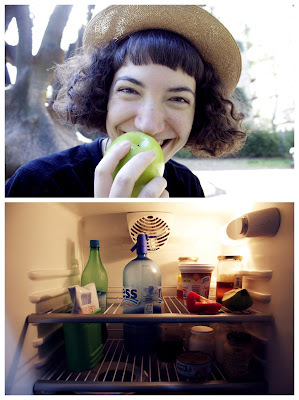 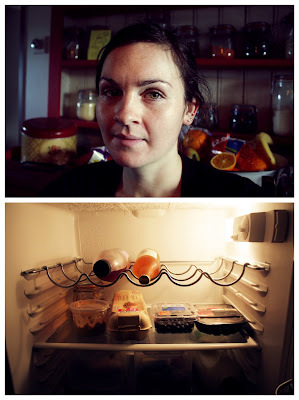 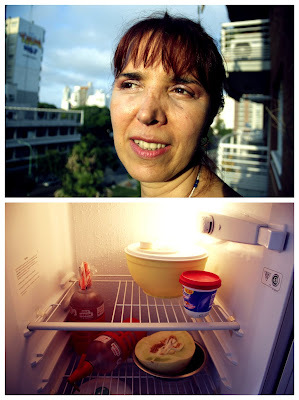 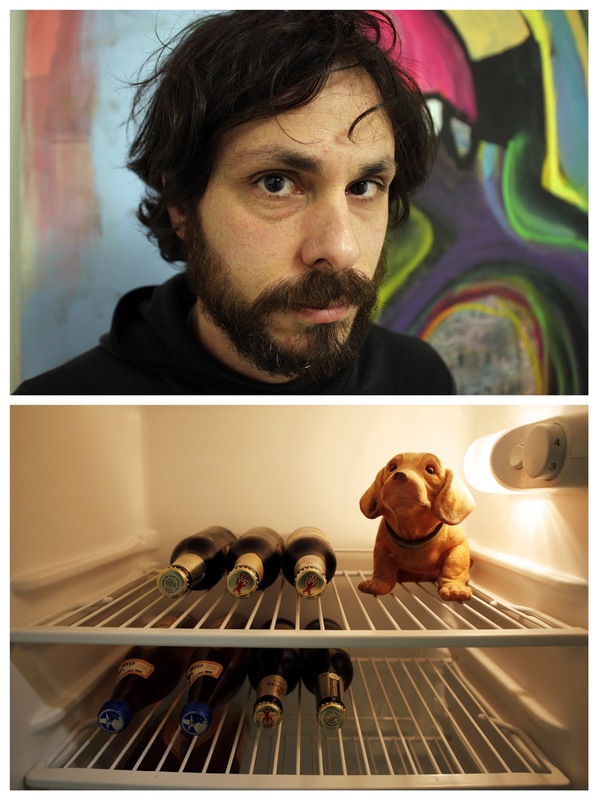 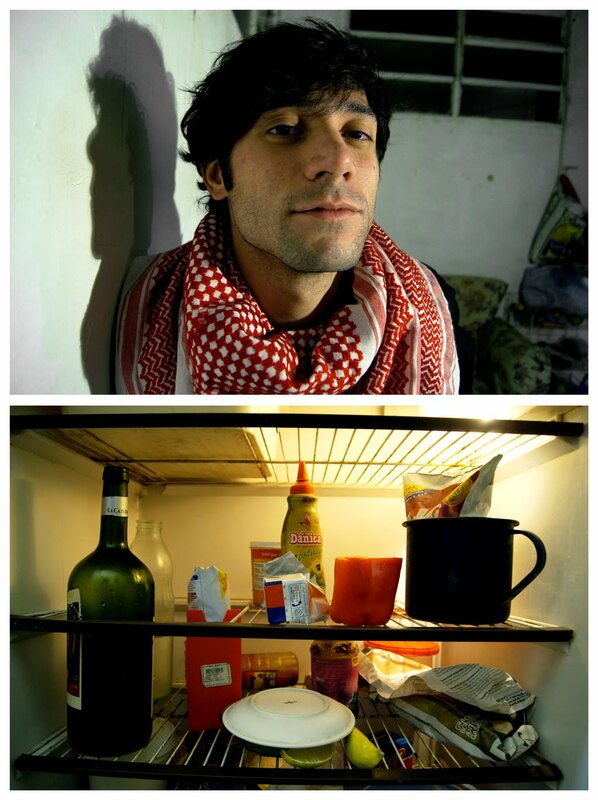 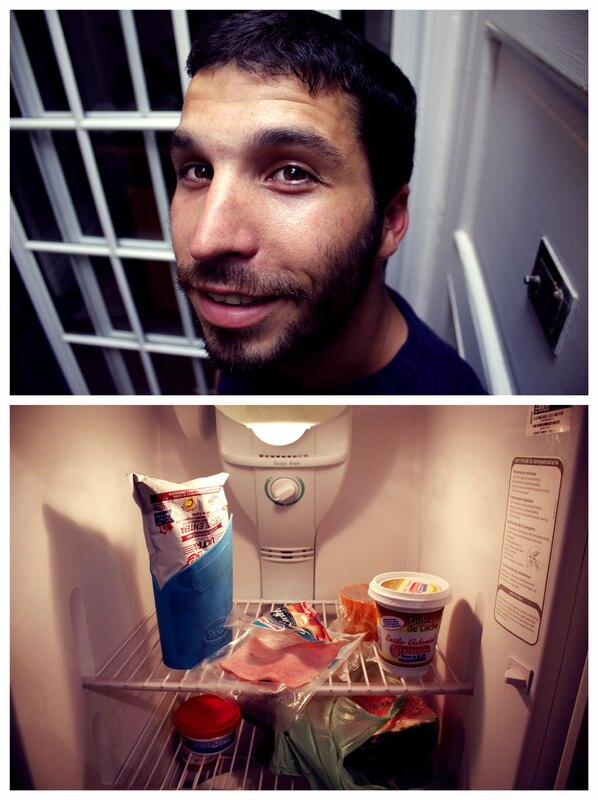 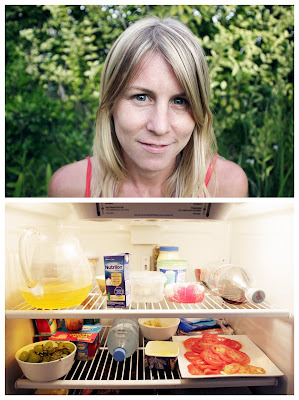 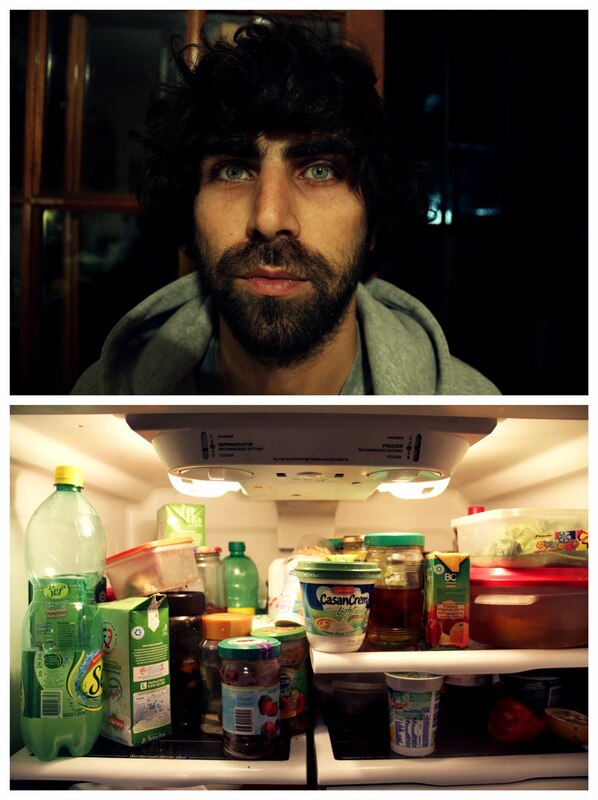 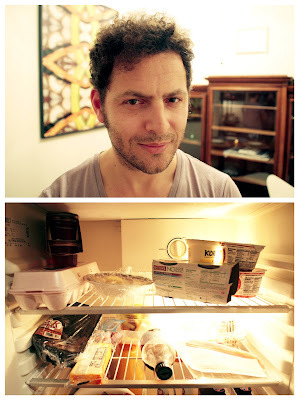 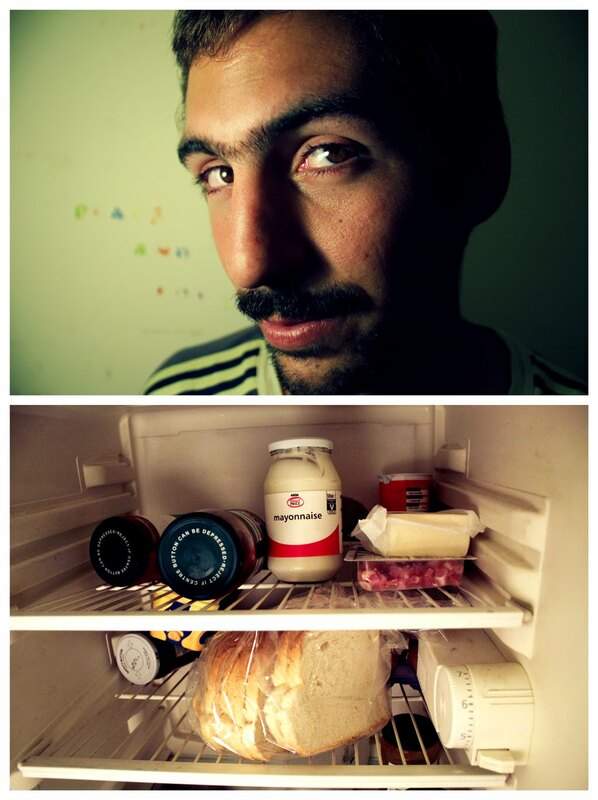 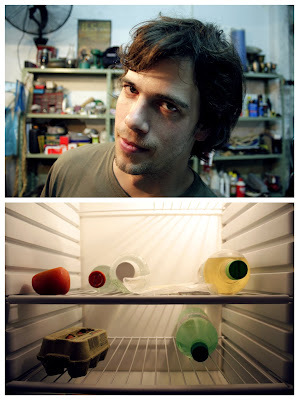 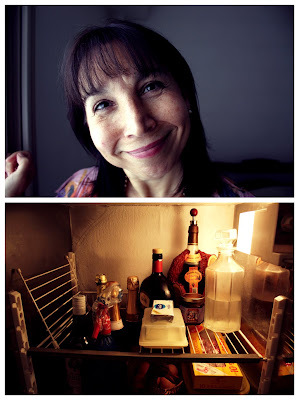 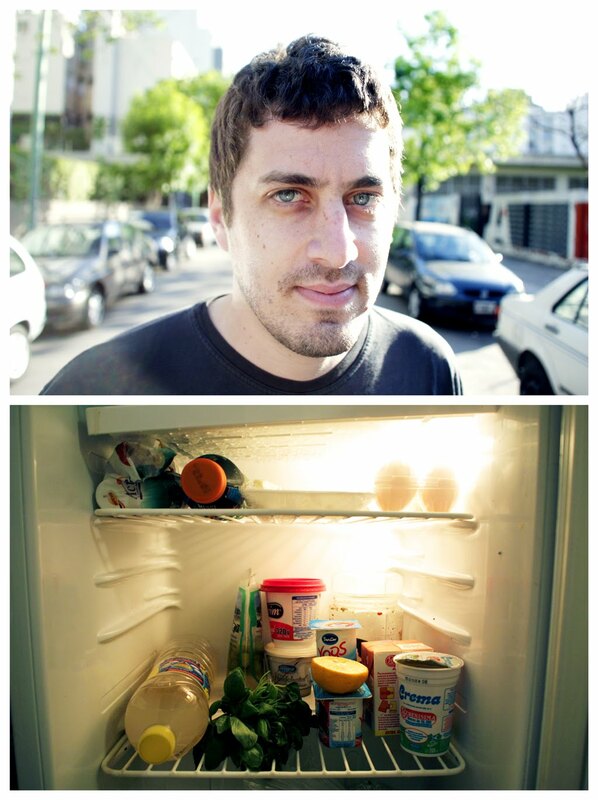 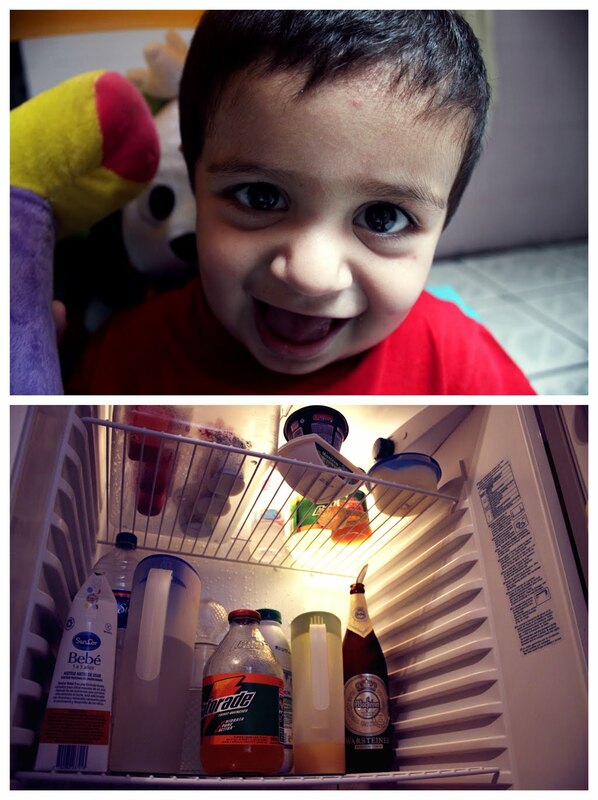 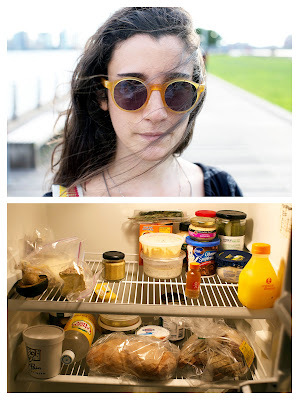 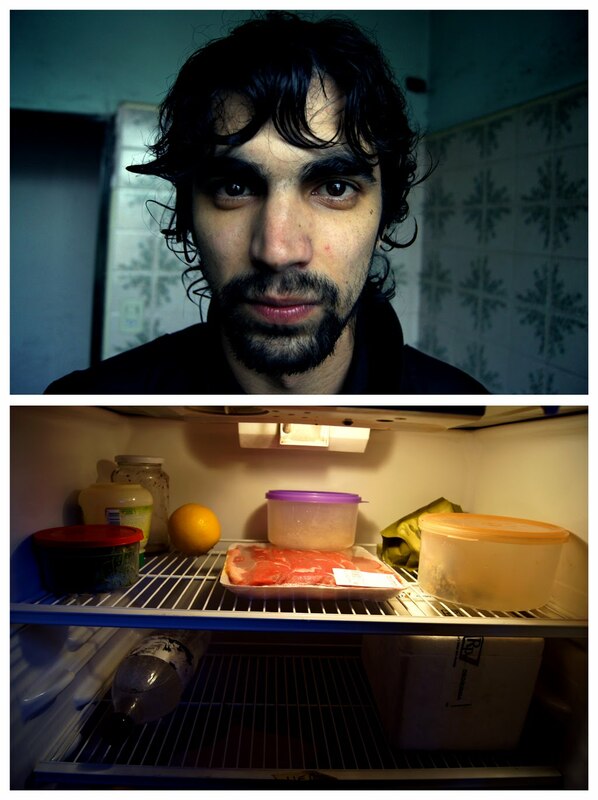 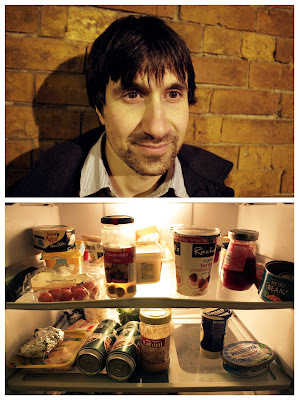 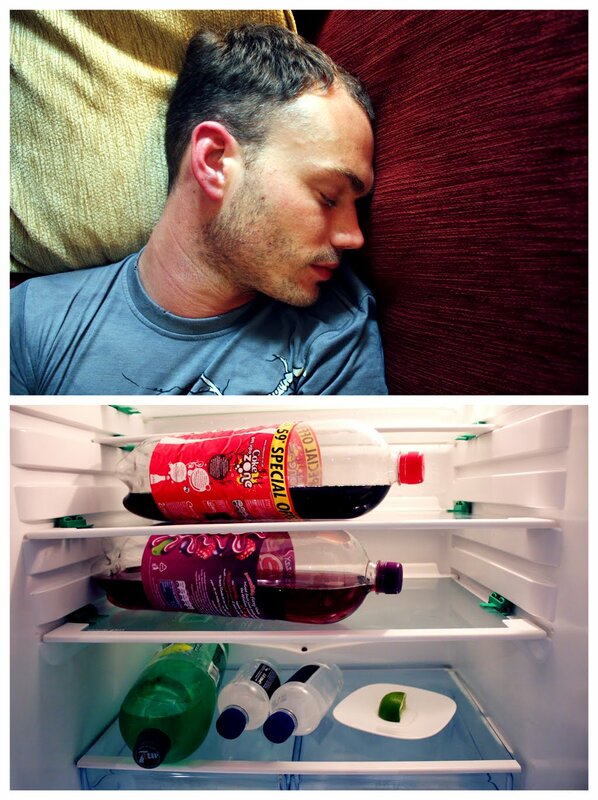 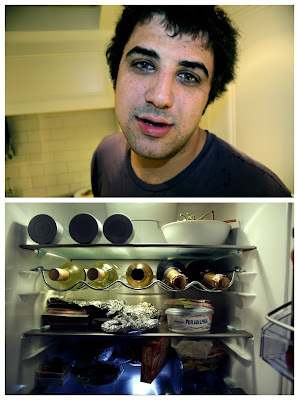 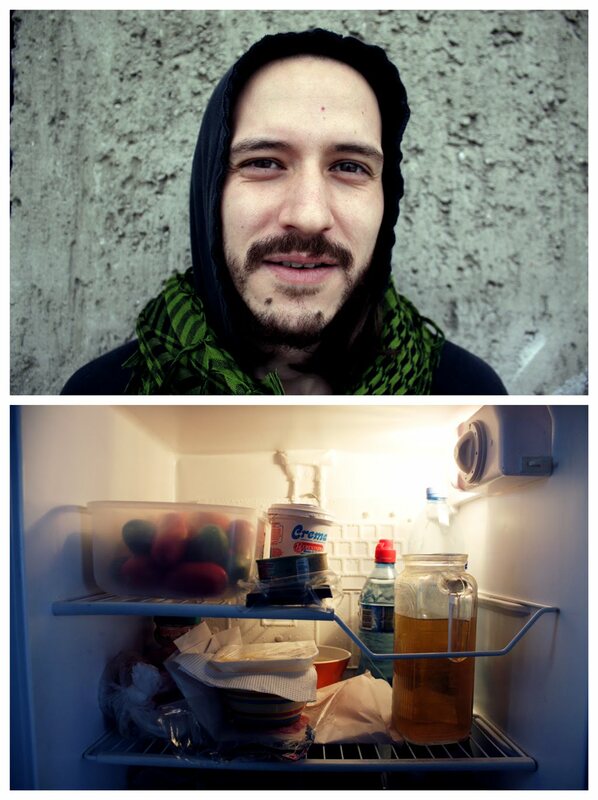 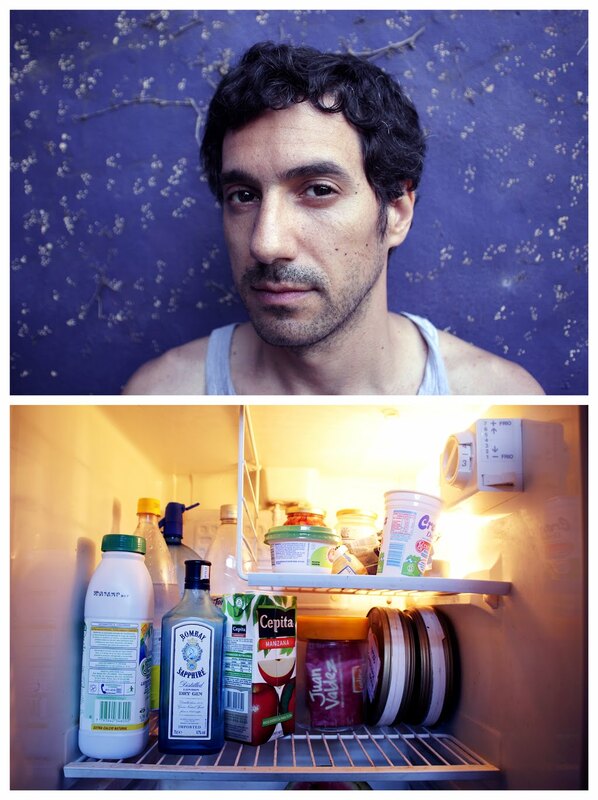 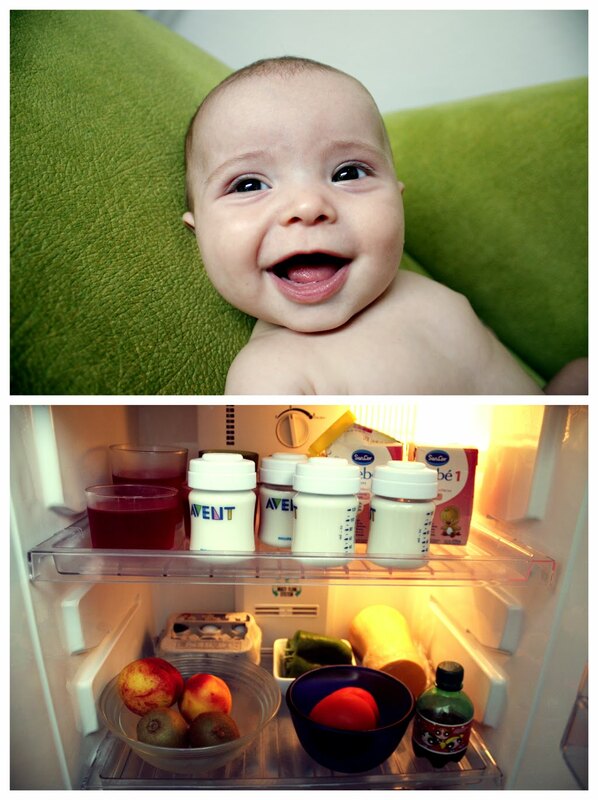 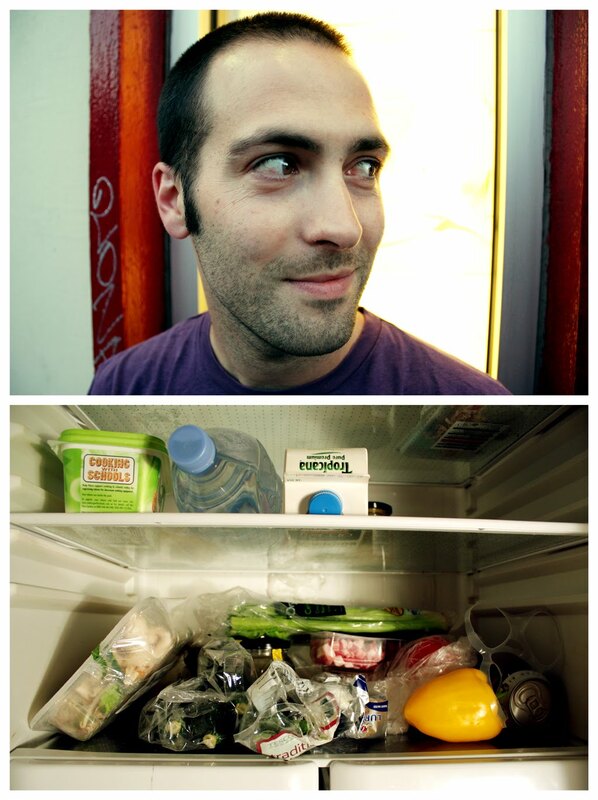 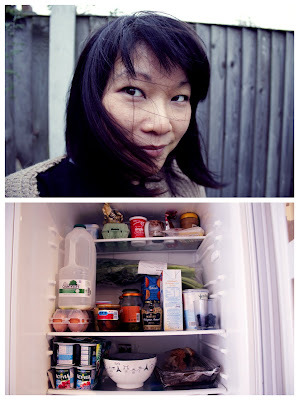 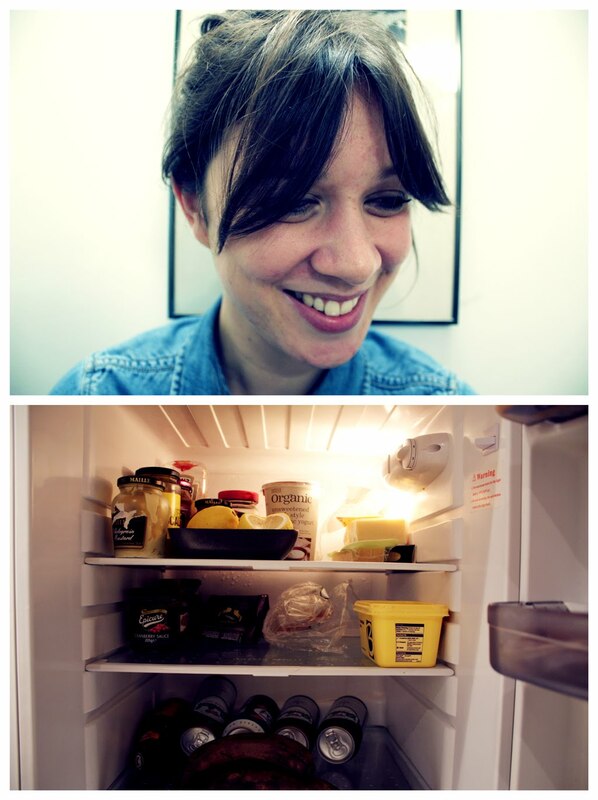 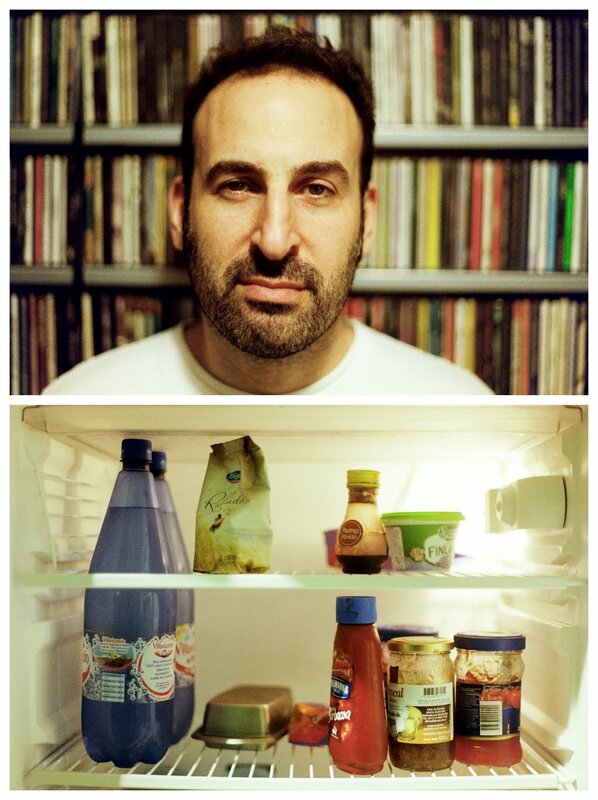 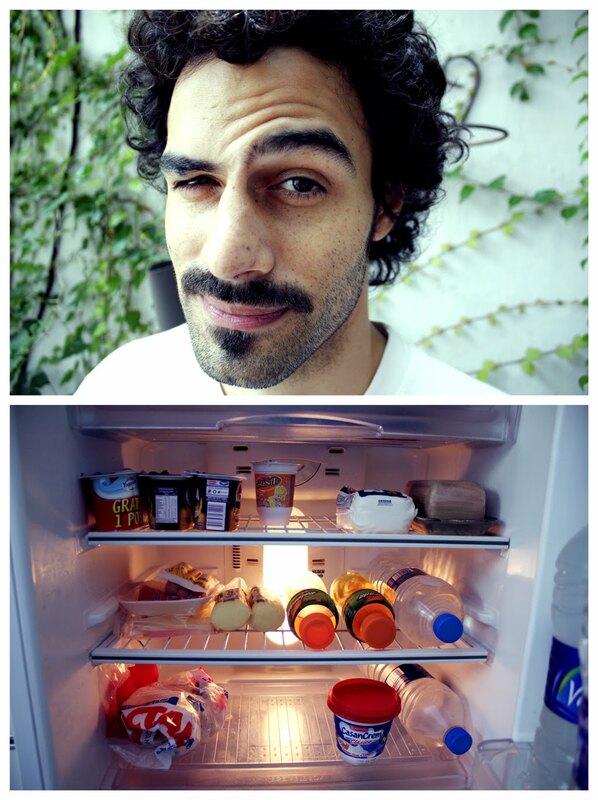 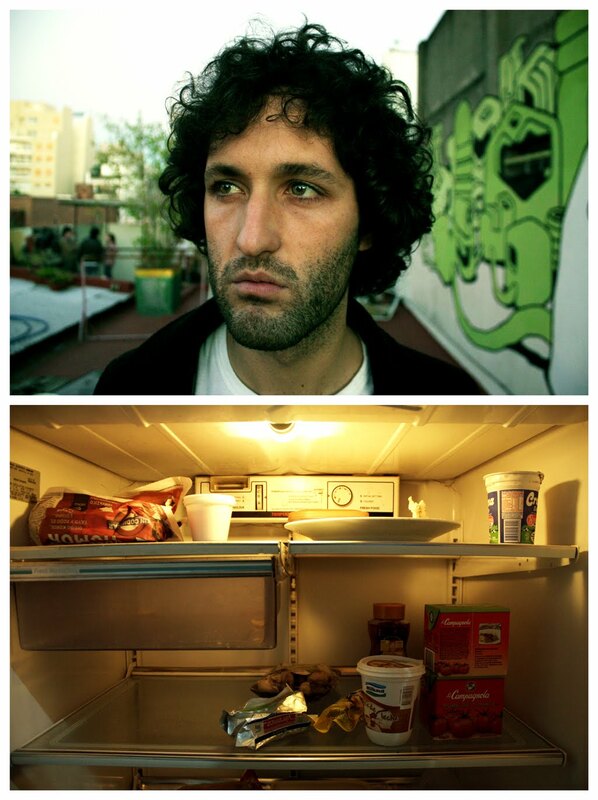 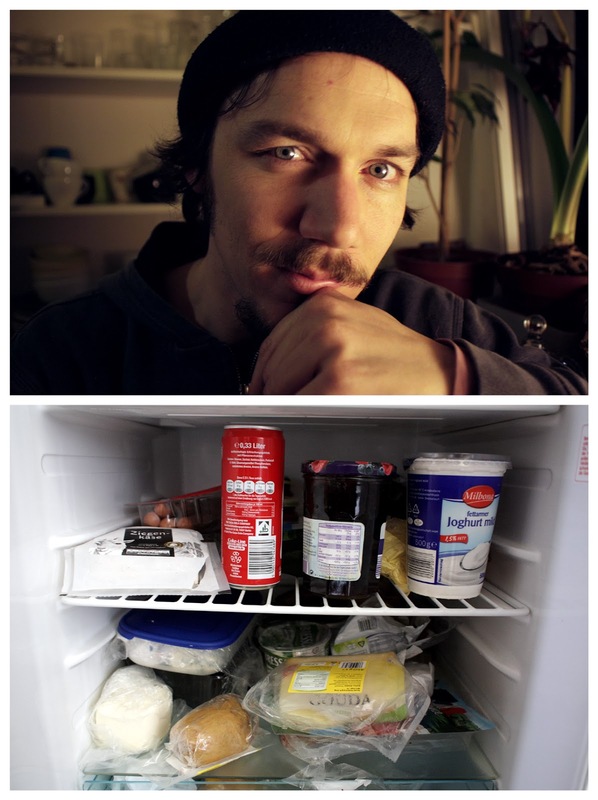 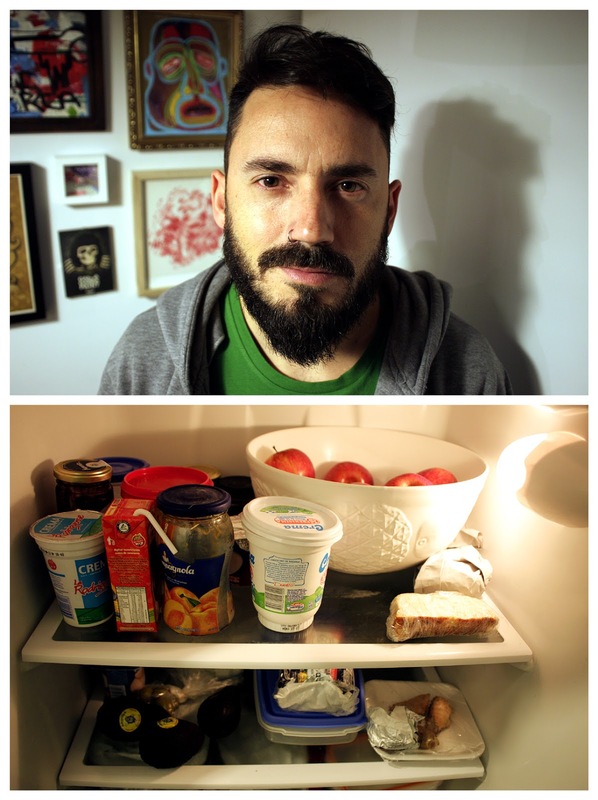 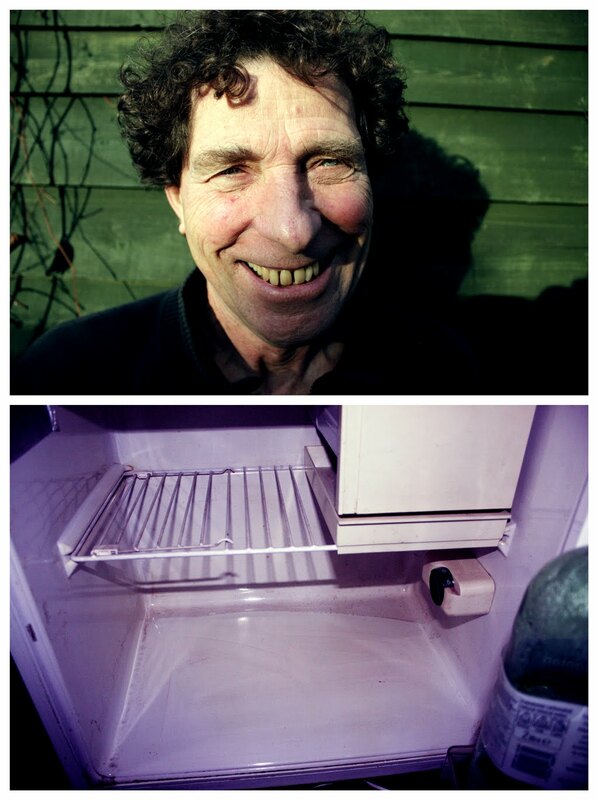 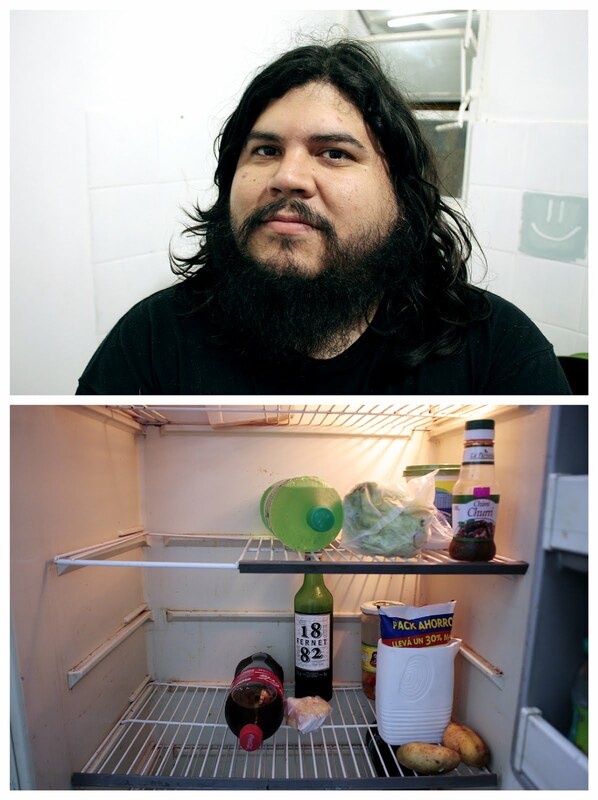 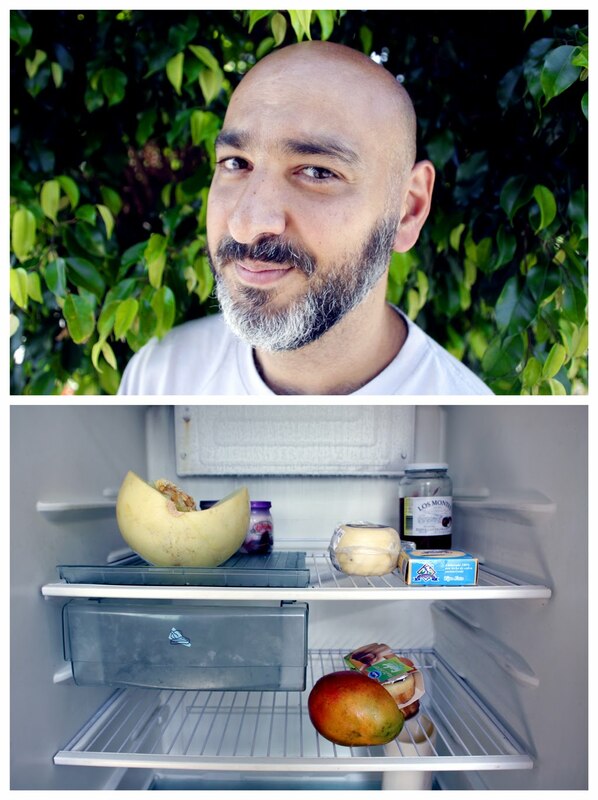 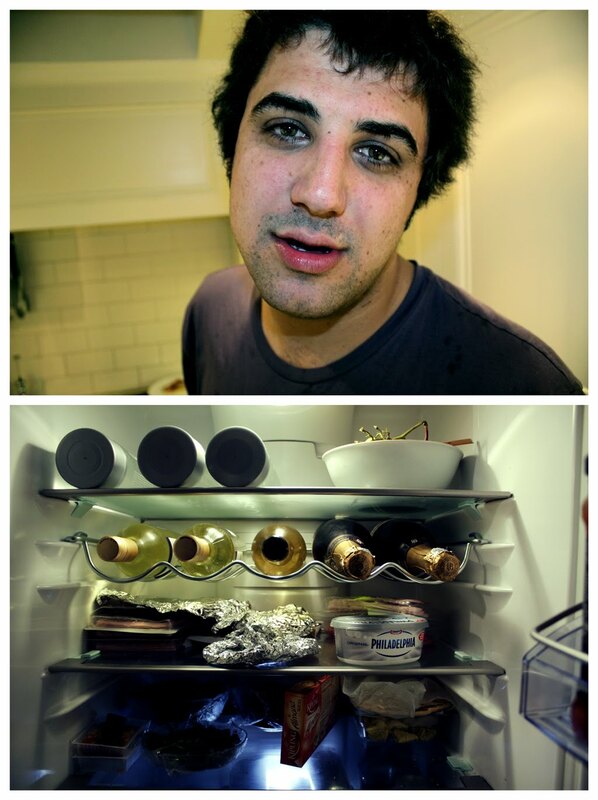 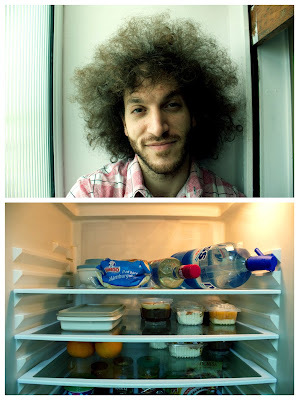 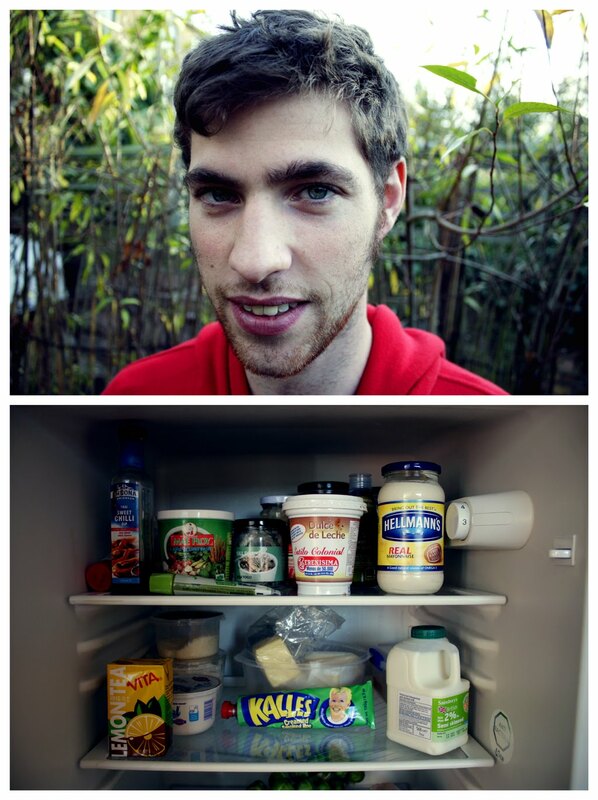 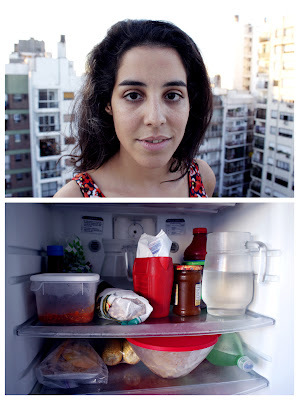 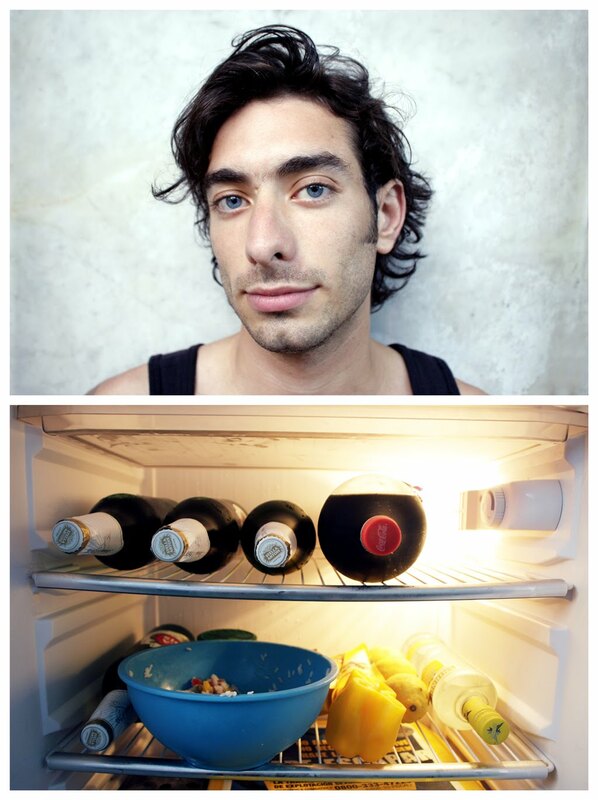 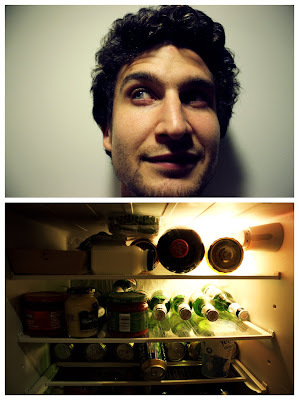 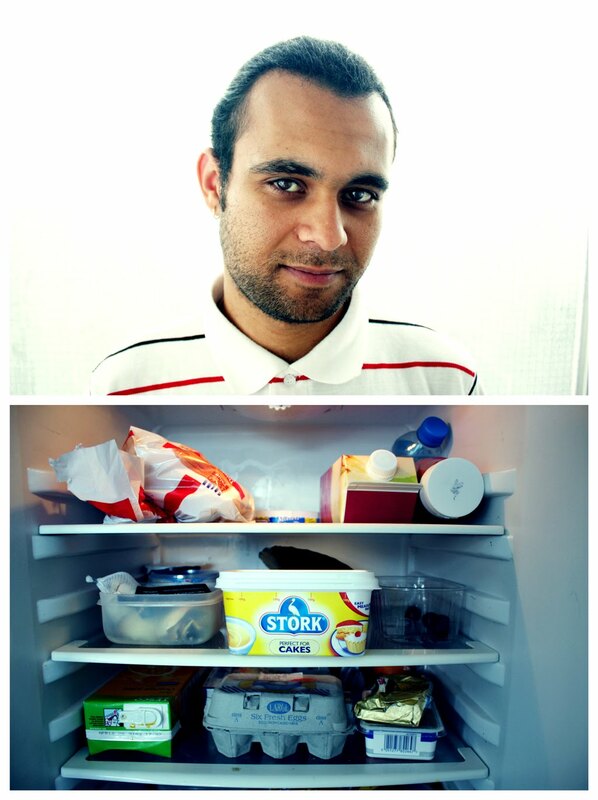 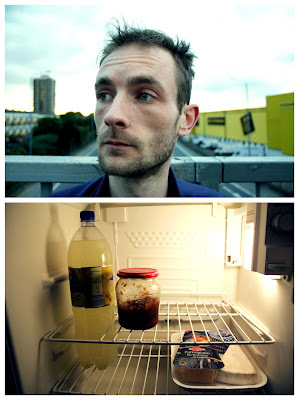 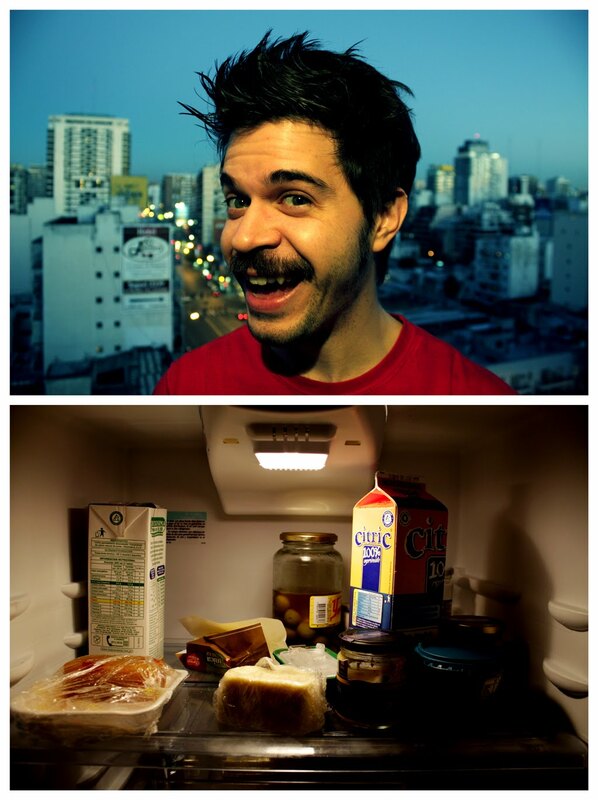 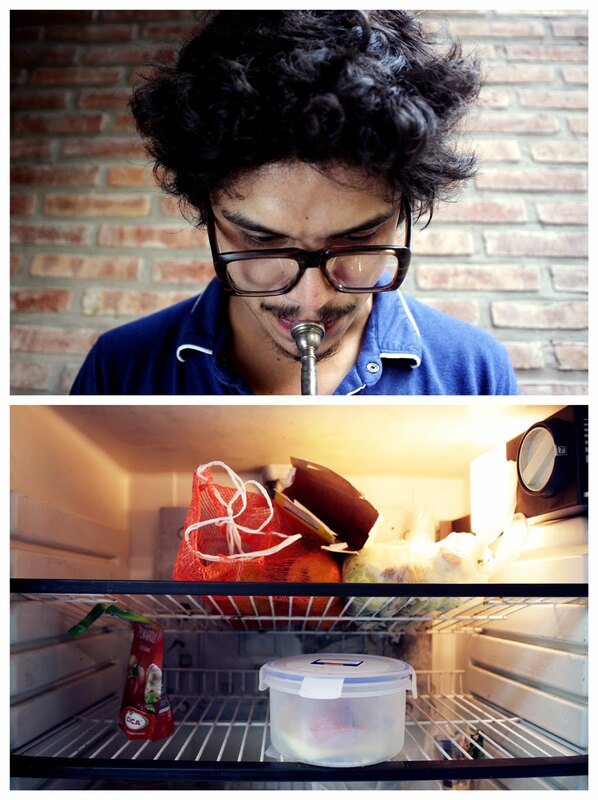 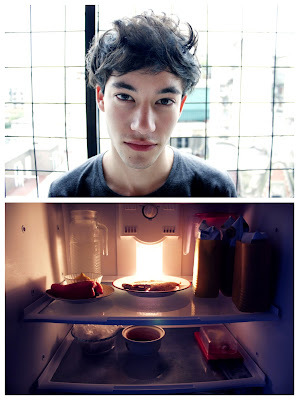 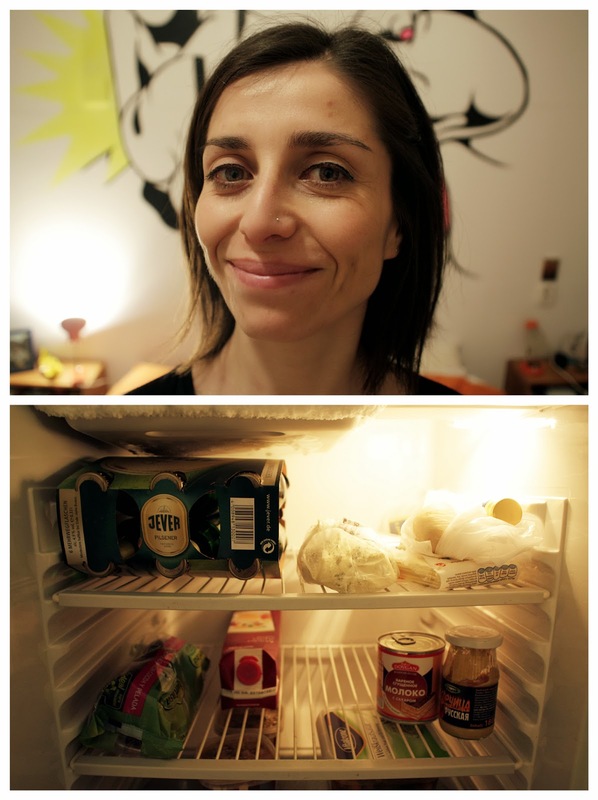 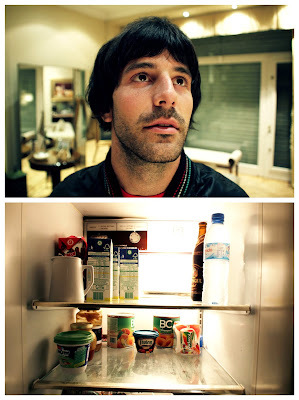 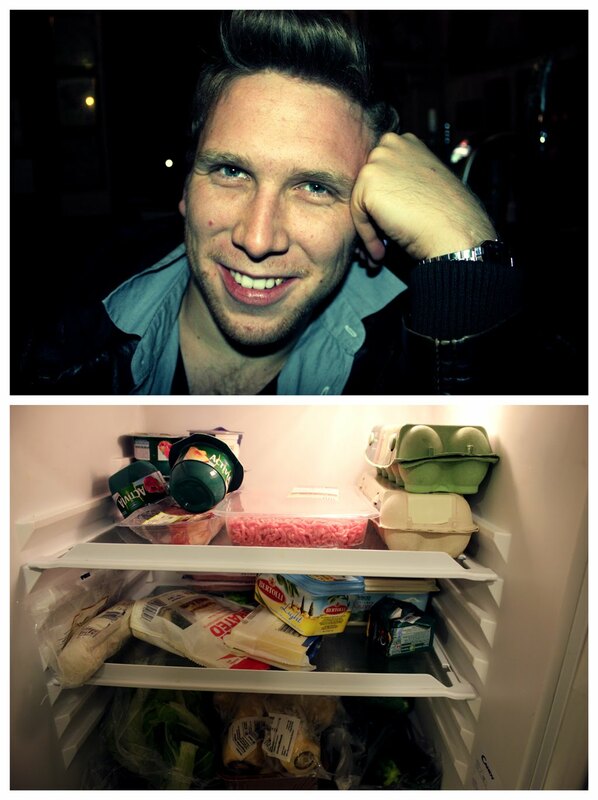 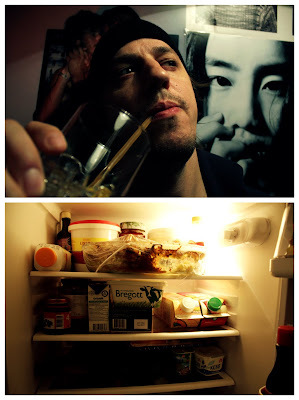 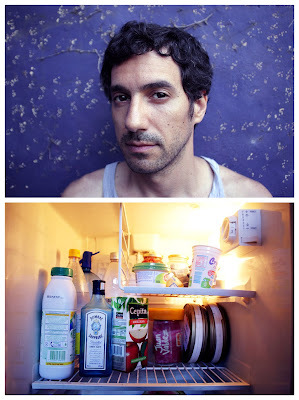 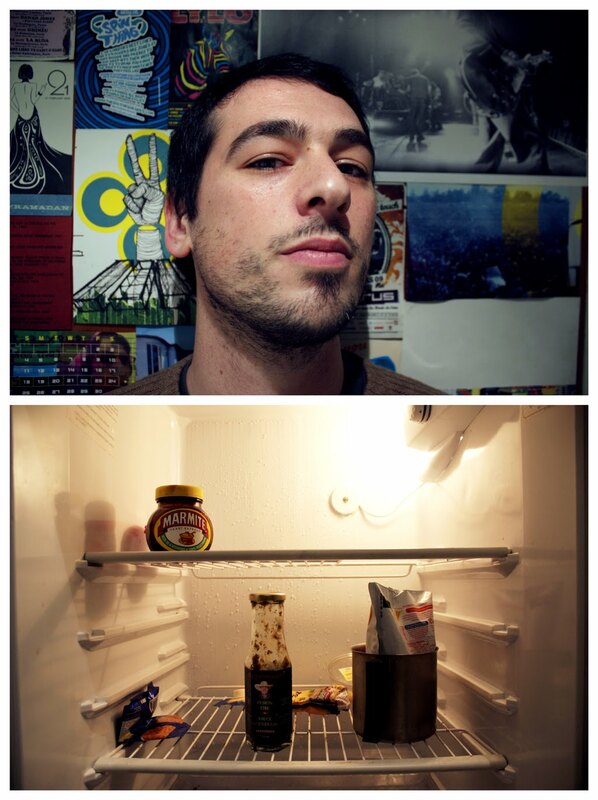 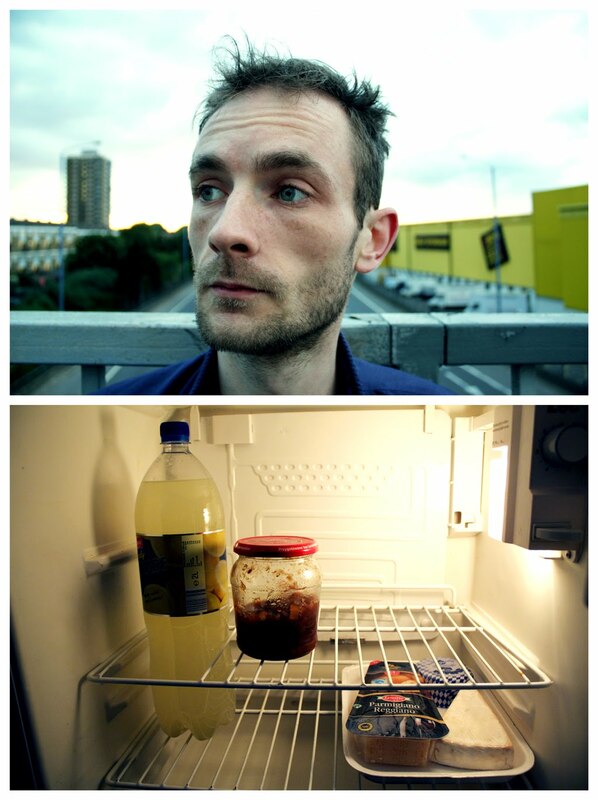 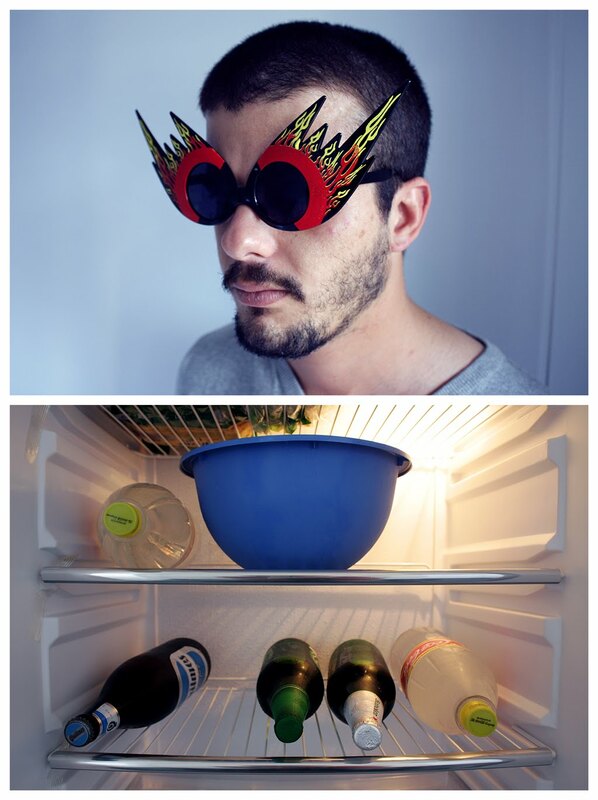 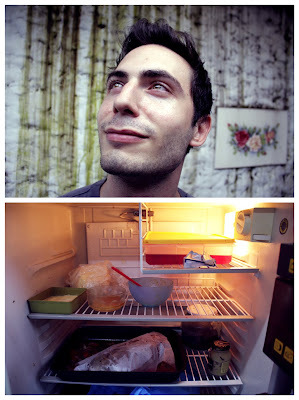 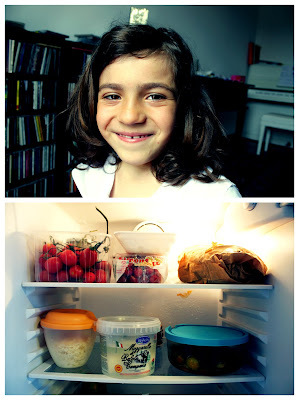 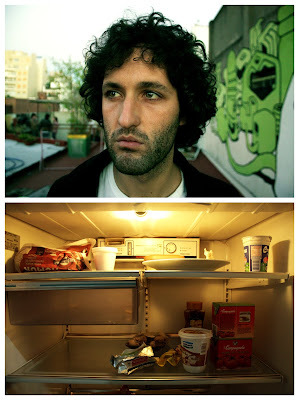 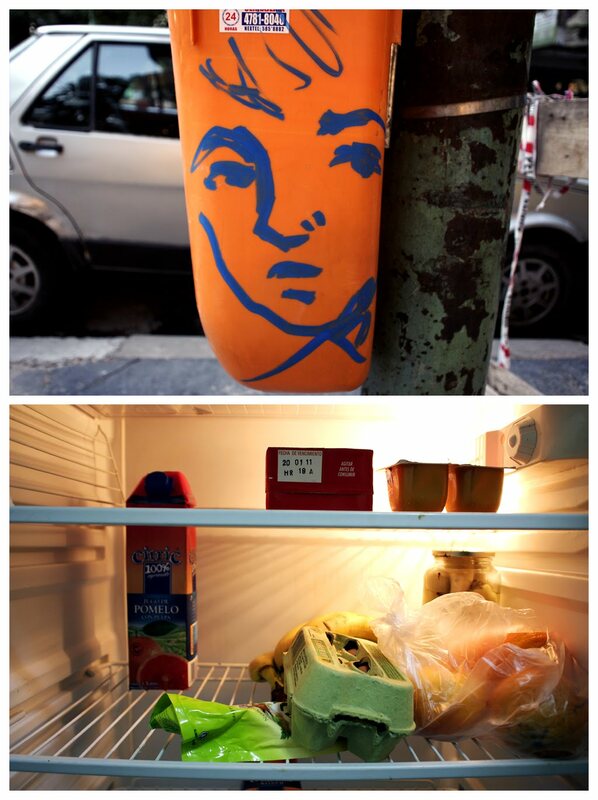 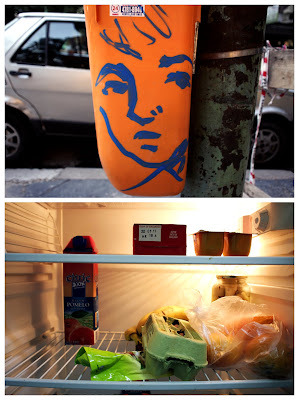 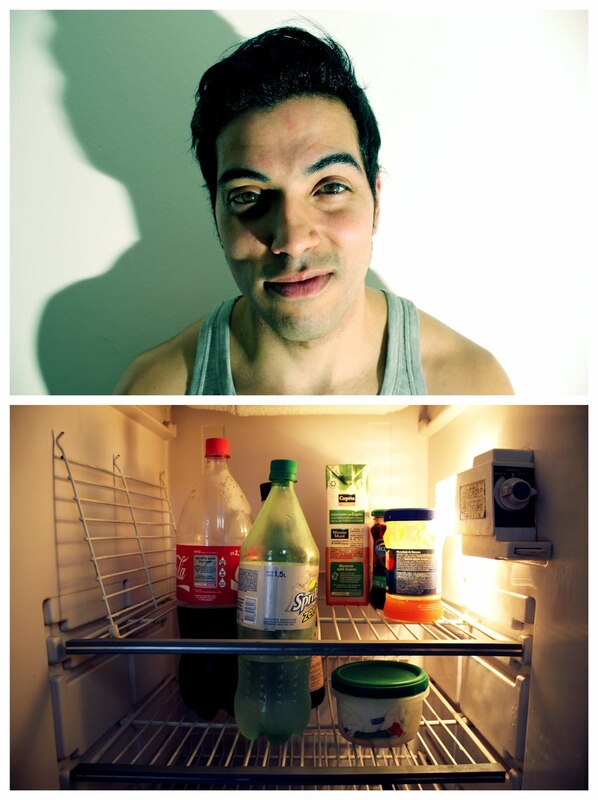 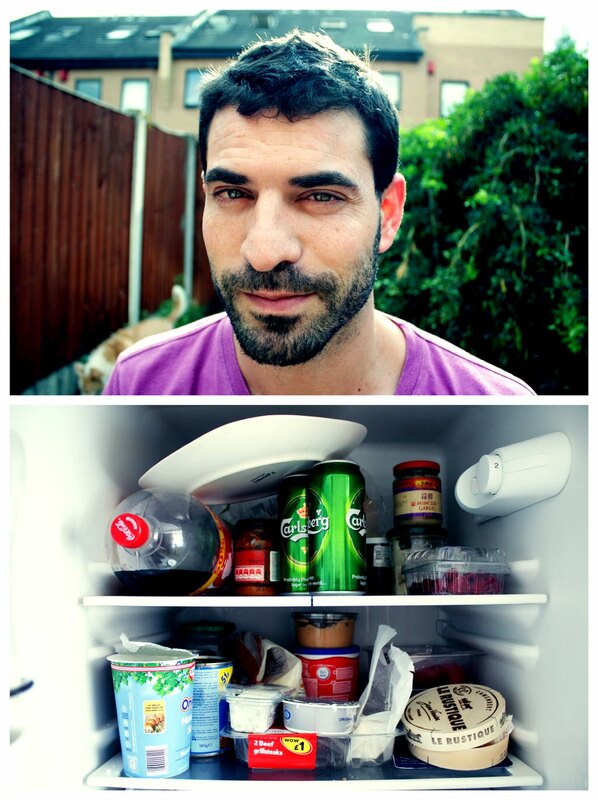 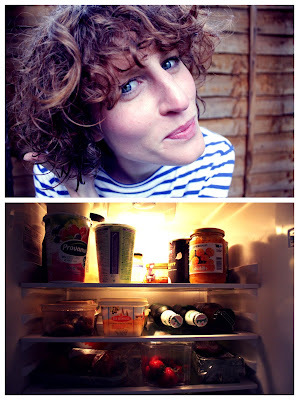 Usually I start with the fridge, then the portrait, but always shot on the same day.